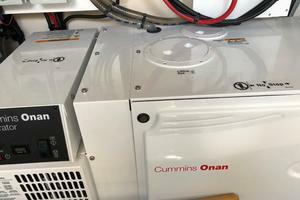 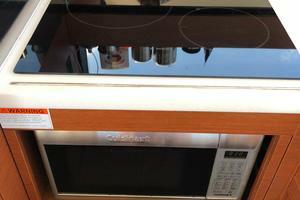 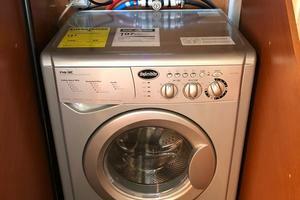 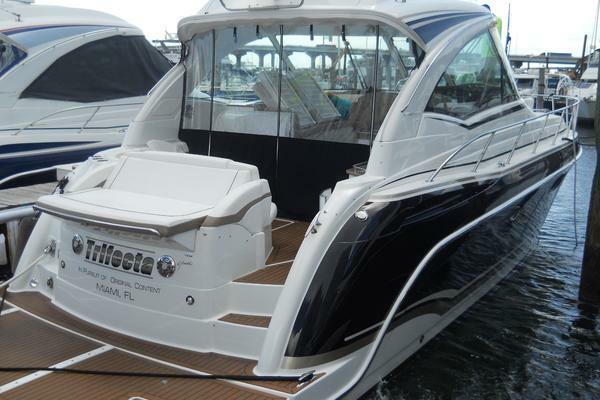 This is an Immaculate 2016 500S with all of the right options and just over 200 hours of use. 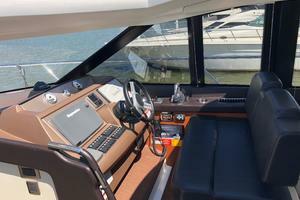 Fully kitted out and ready to cruise in comfort immediately. 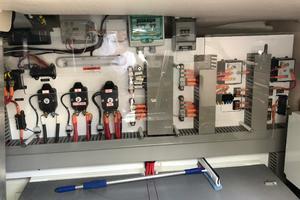 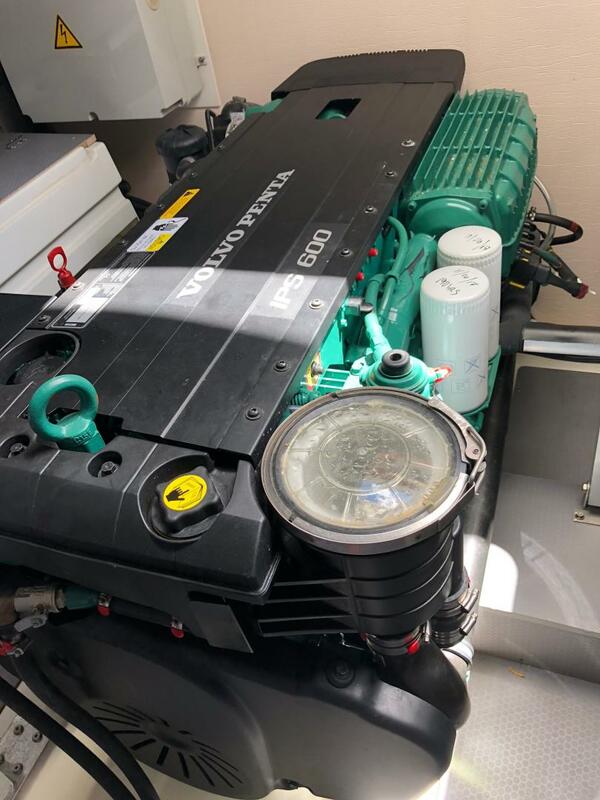 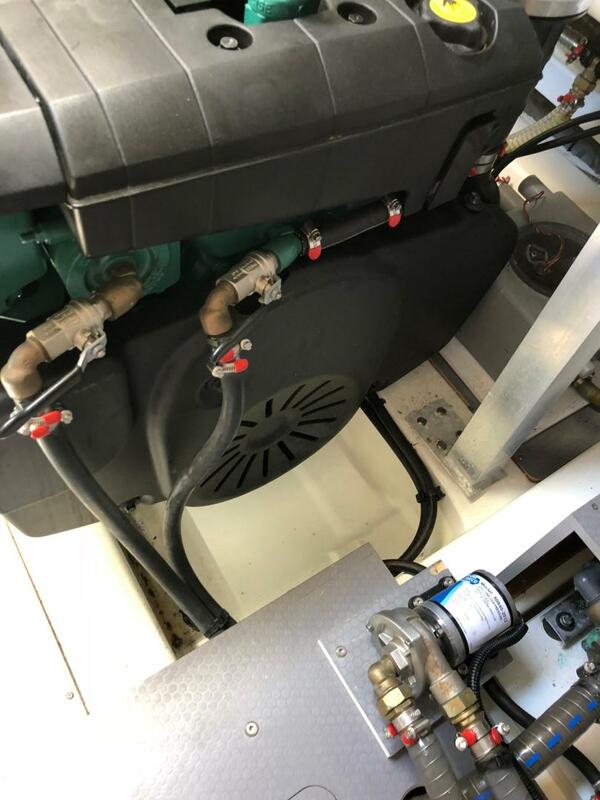 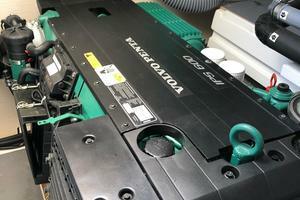 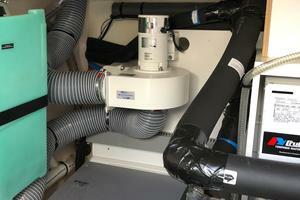 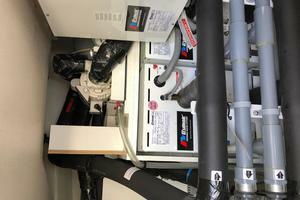 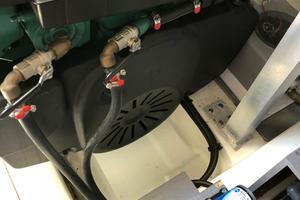 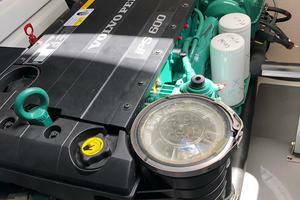 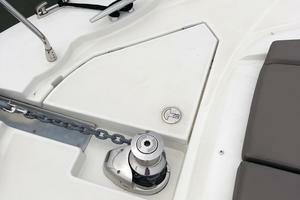 Volvo IPS 600 engines with Joystick and only 200 hours. 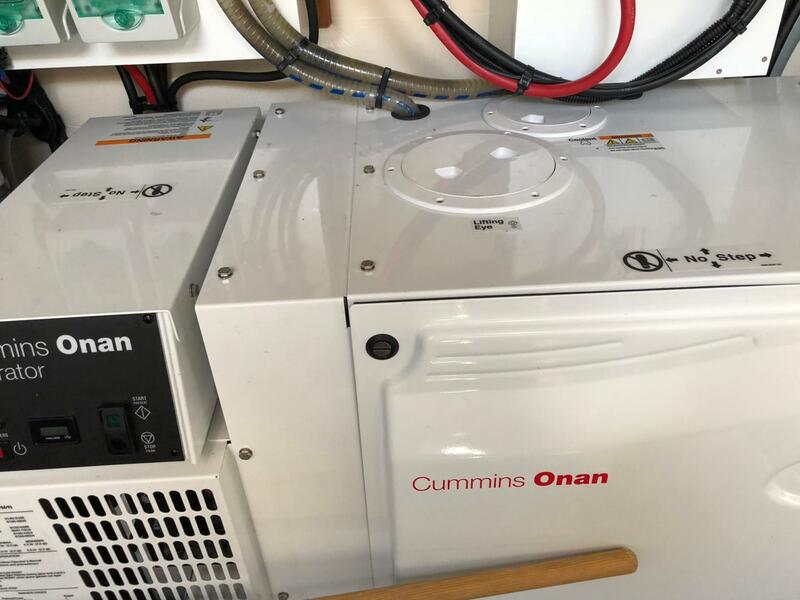 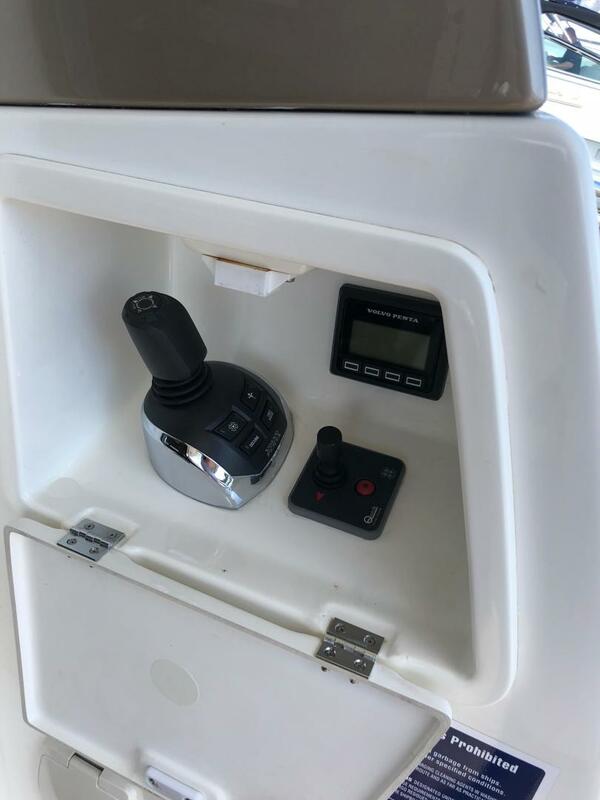 Second docking station in cockpit. 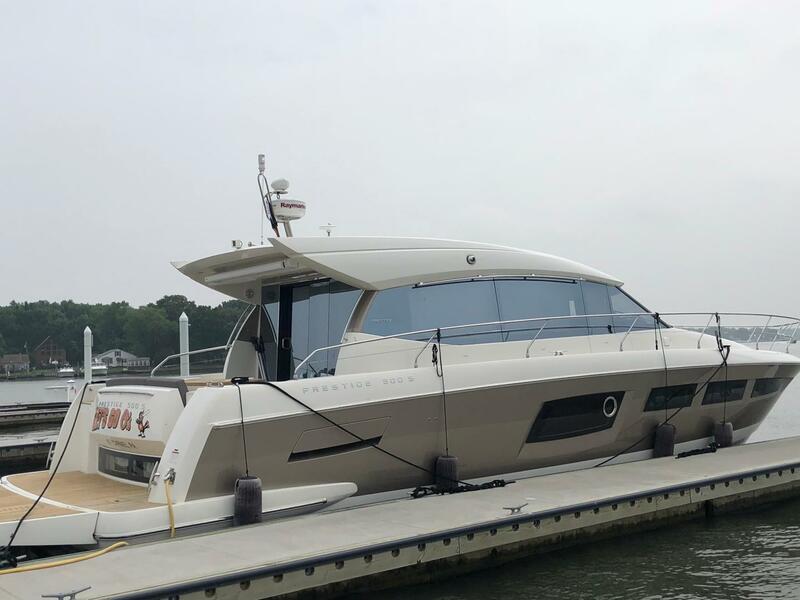 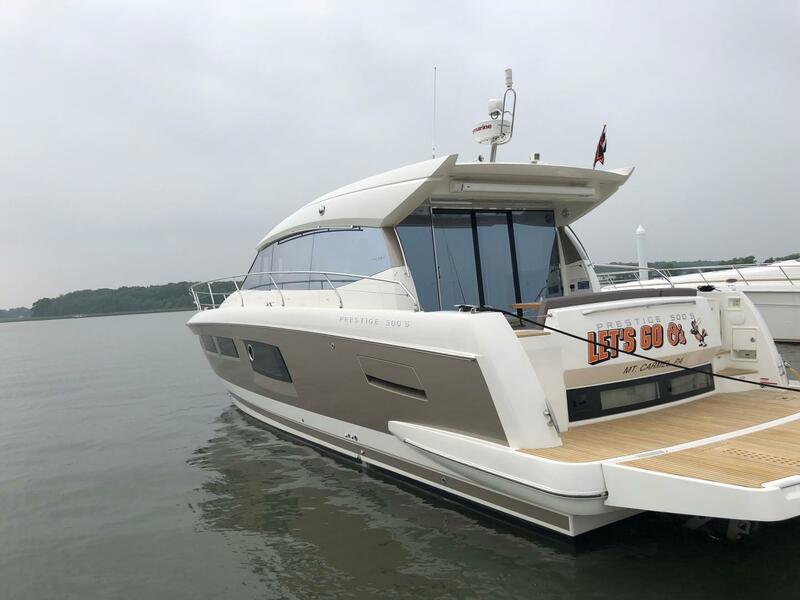 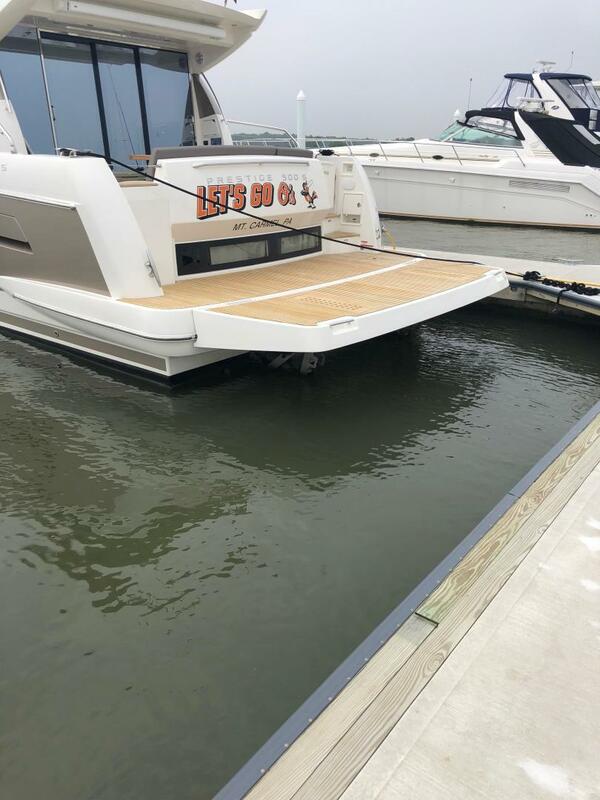 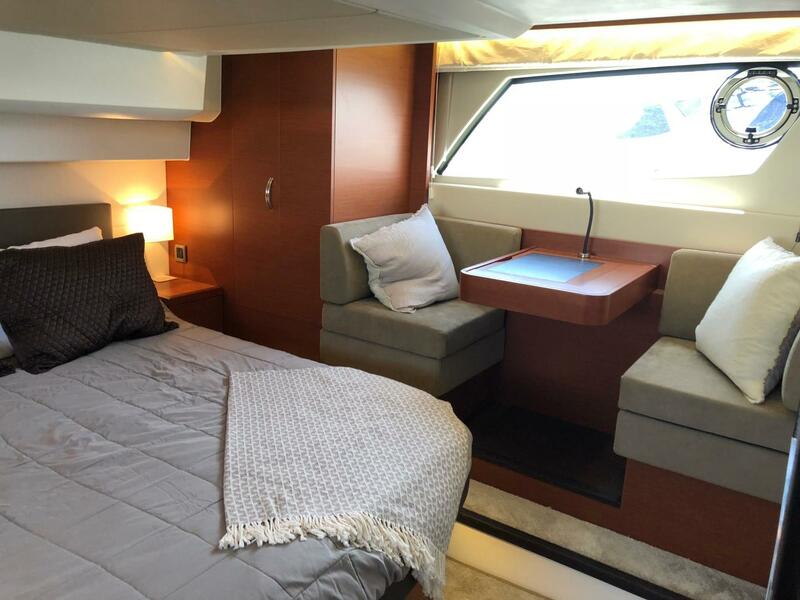 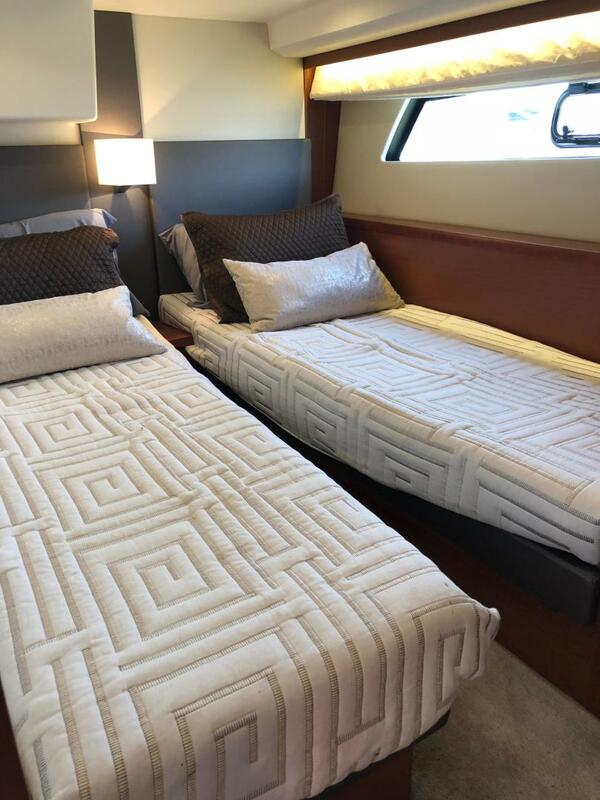 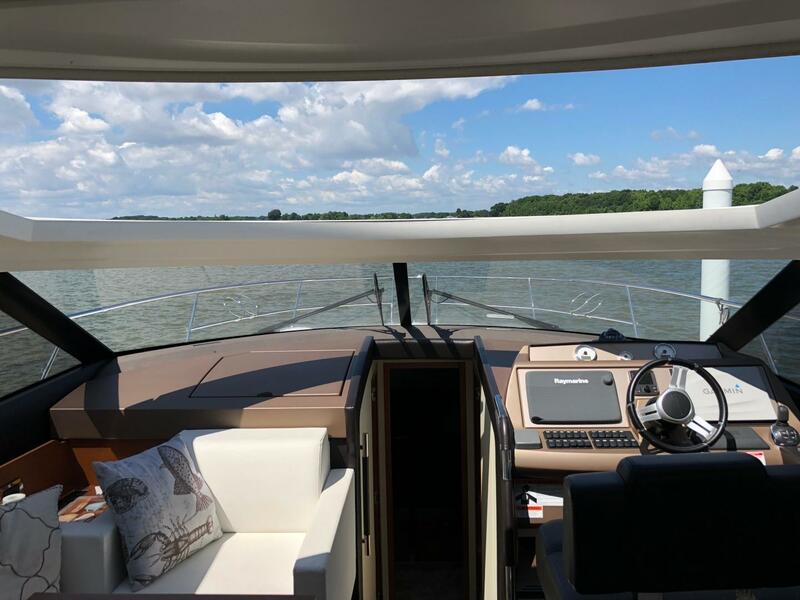 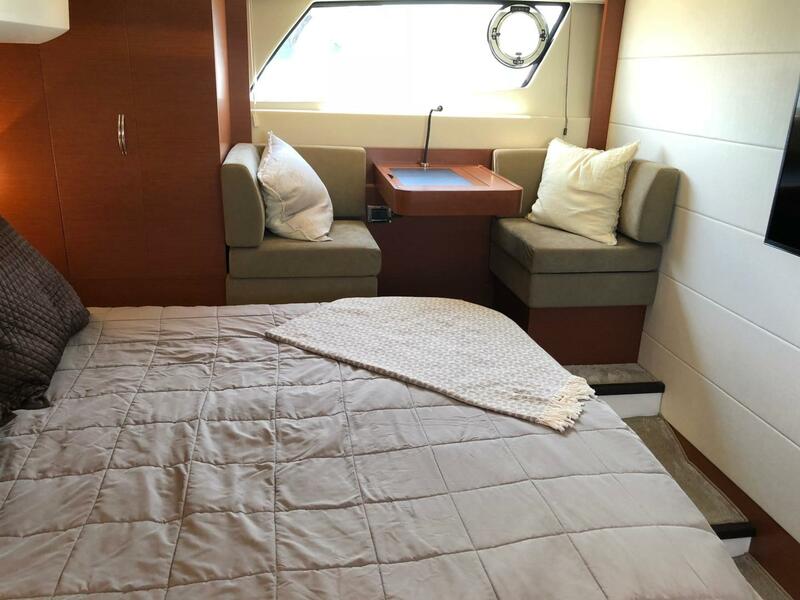 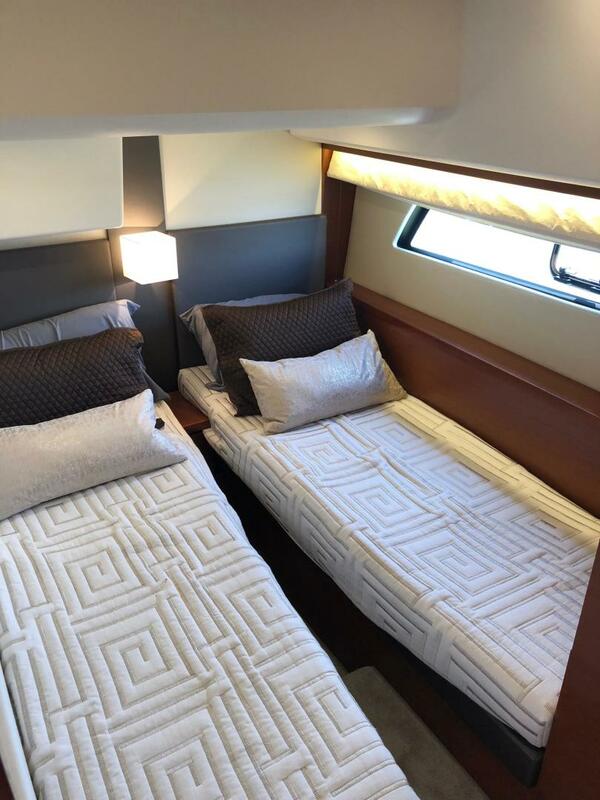 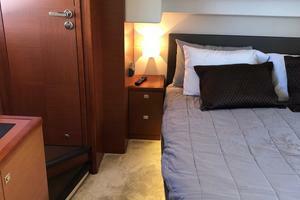 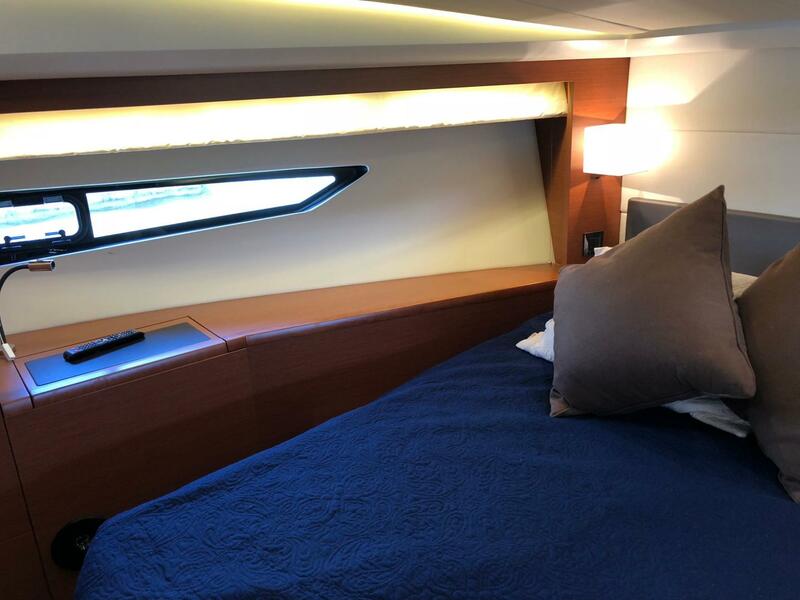 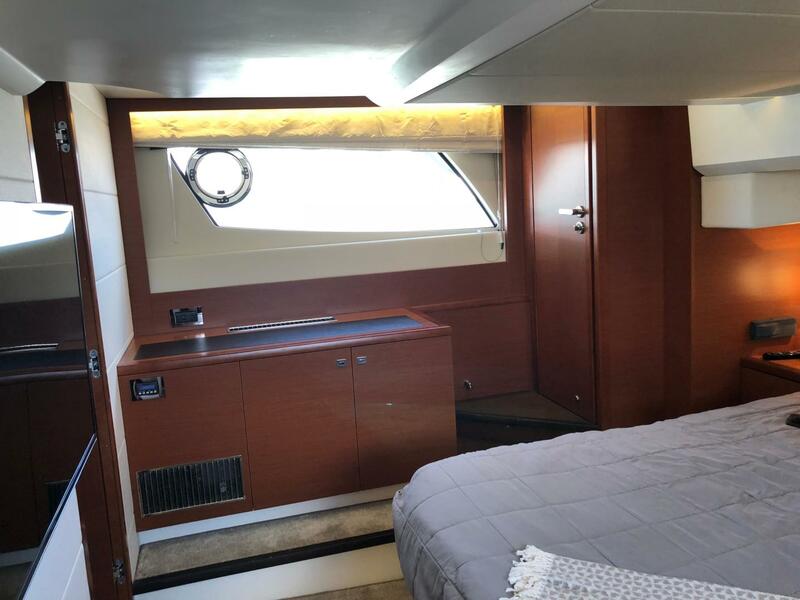 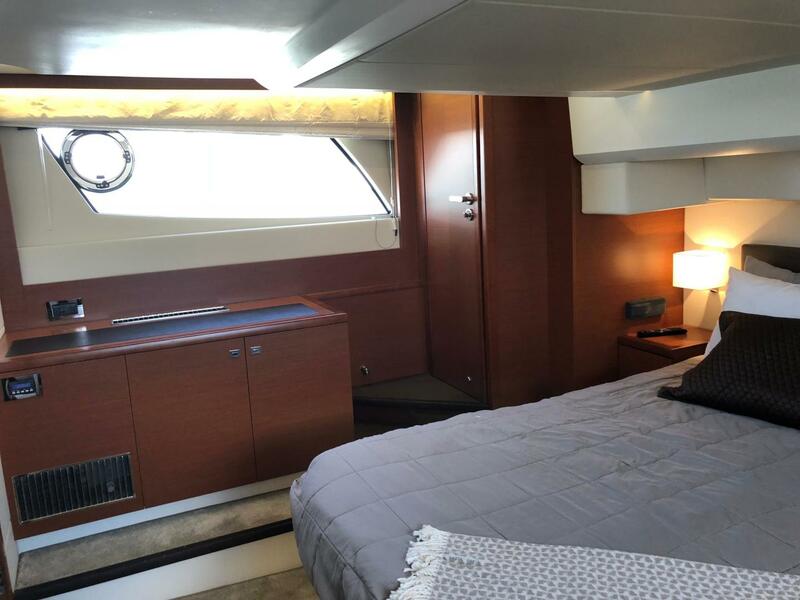 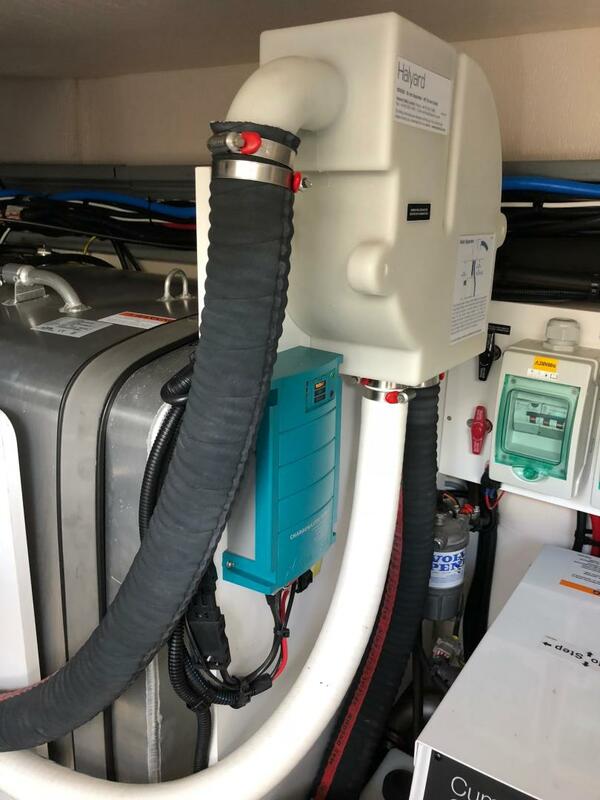 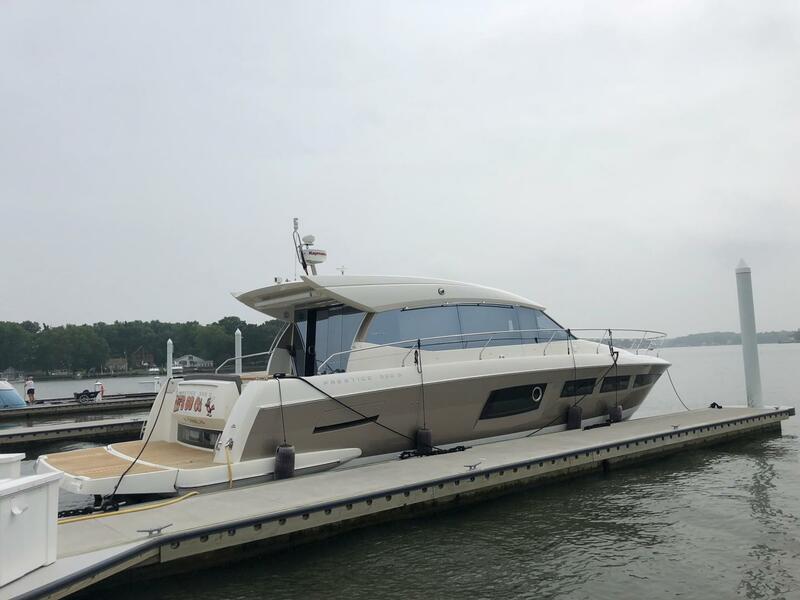 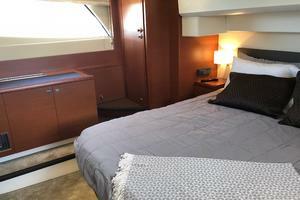 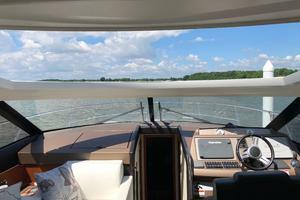 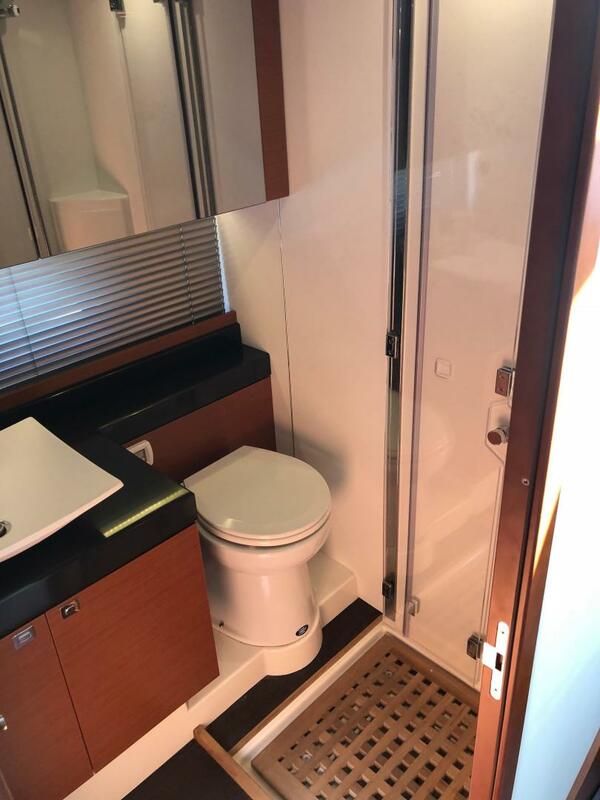 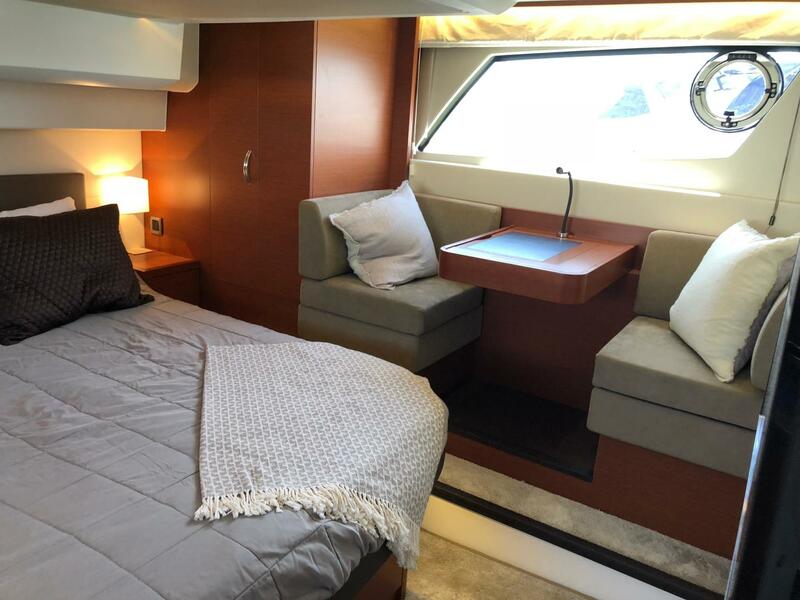 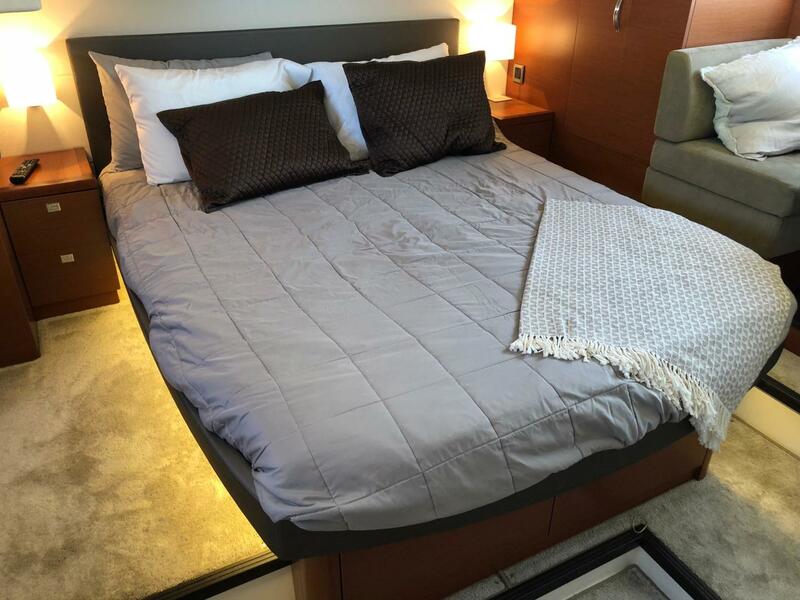 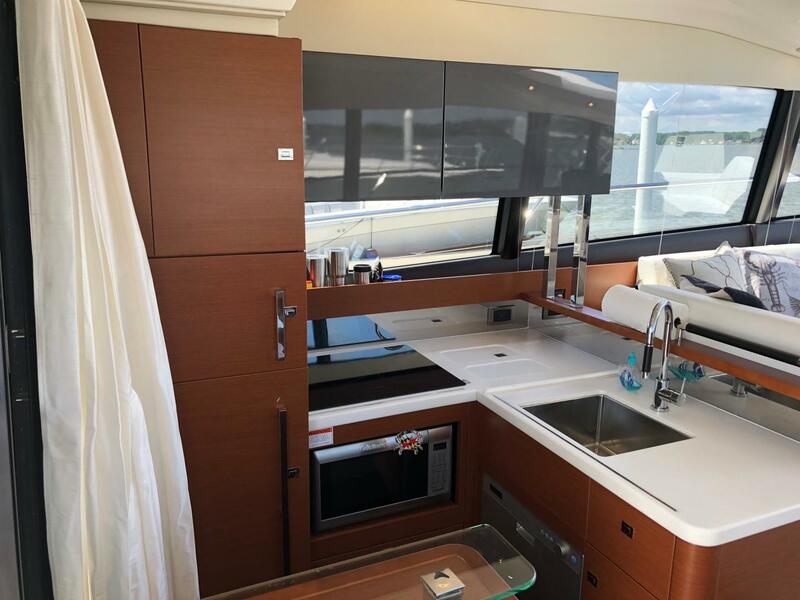 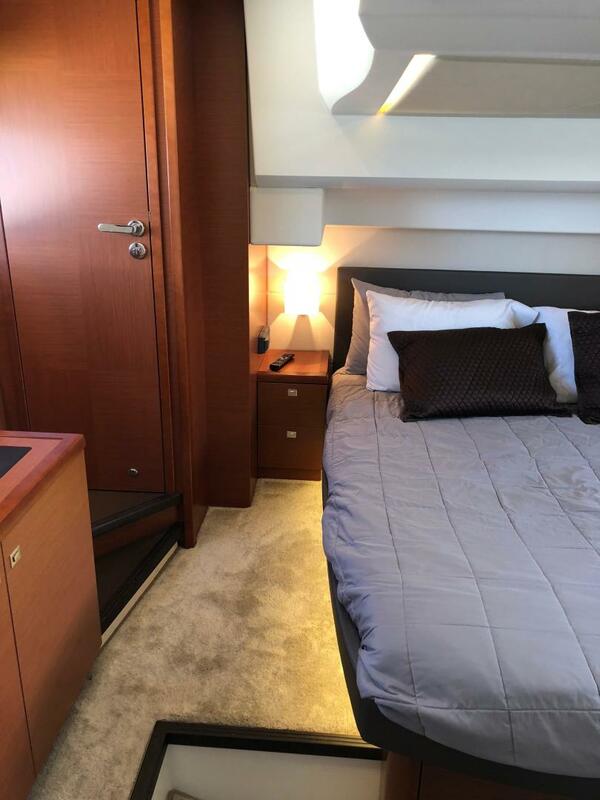 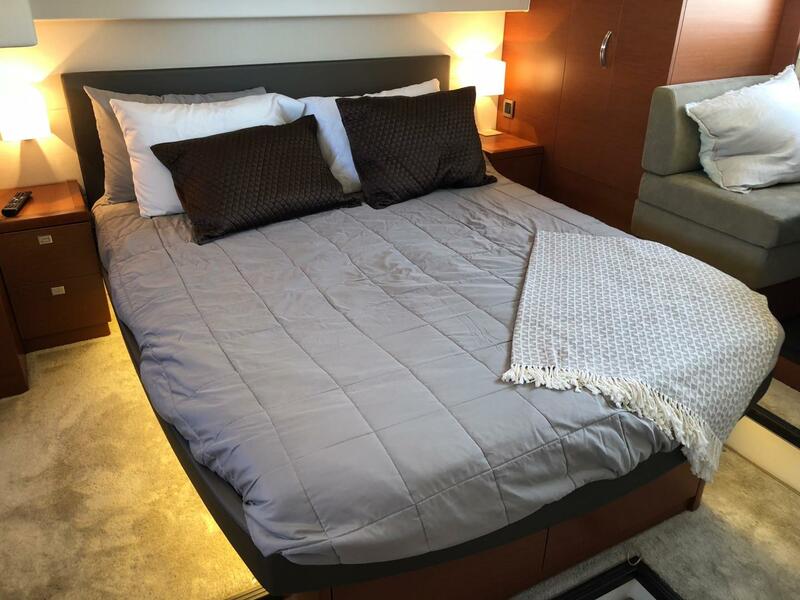 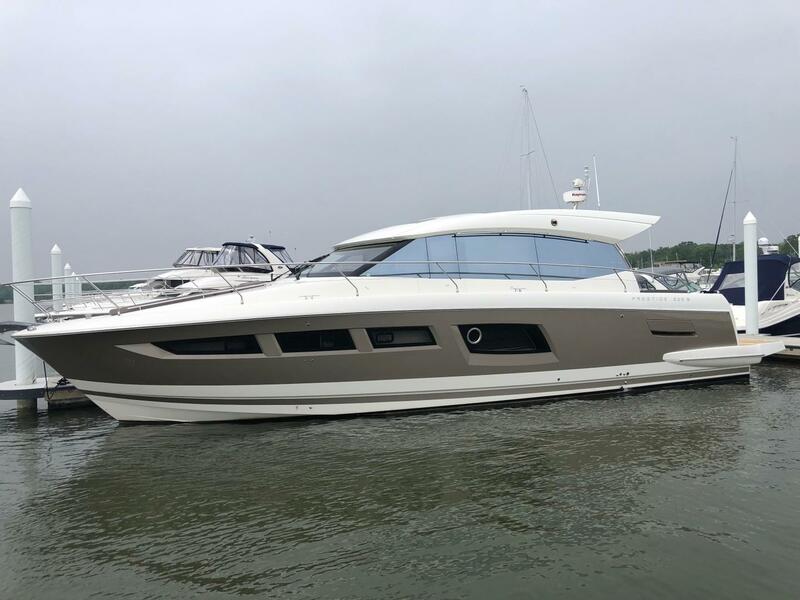 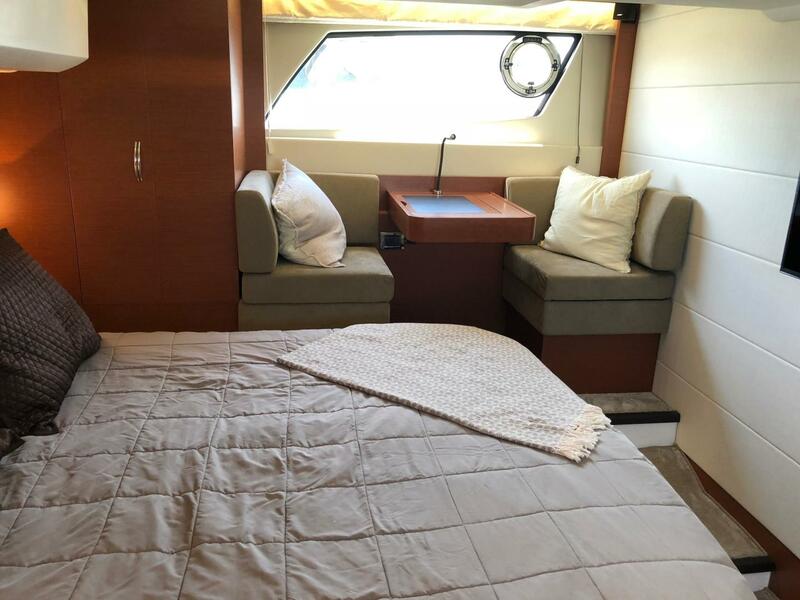 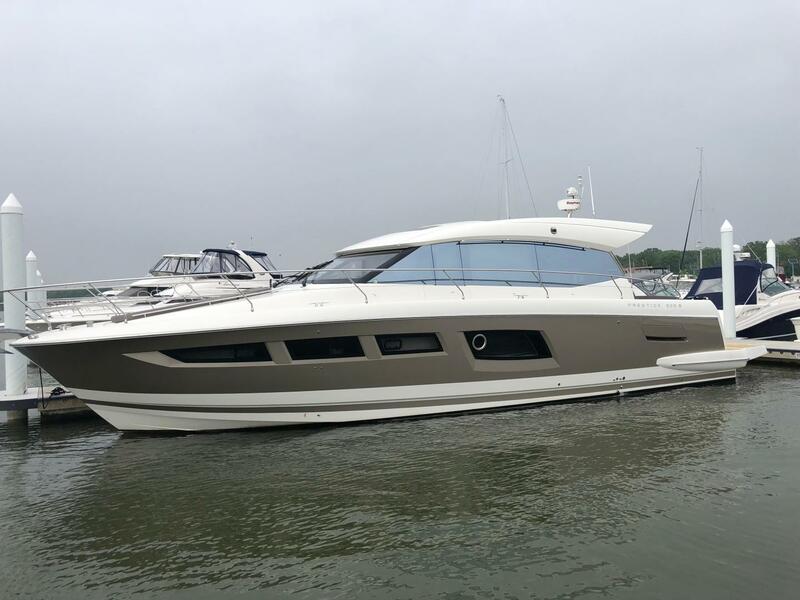 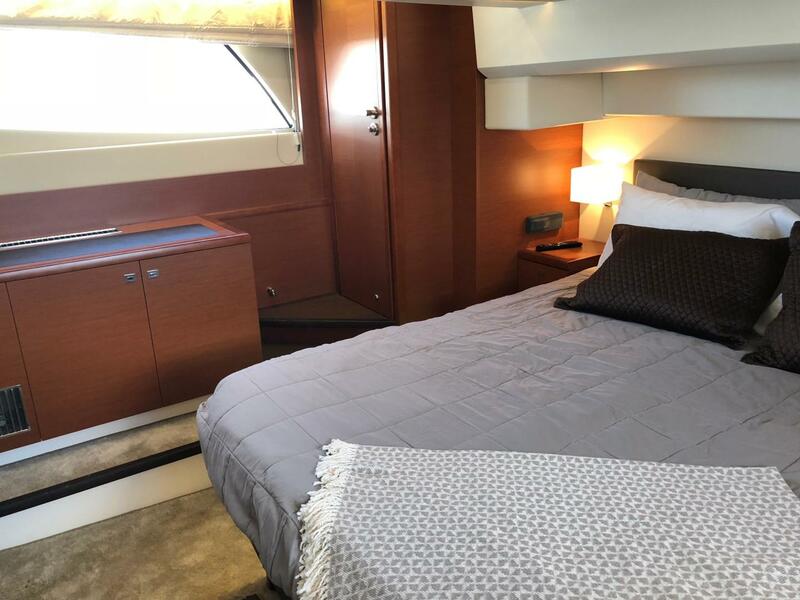 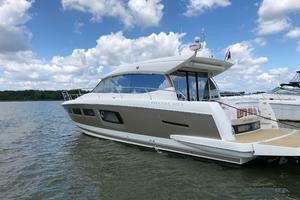 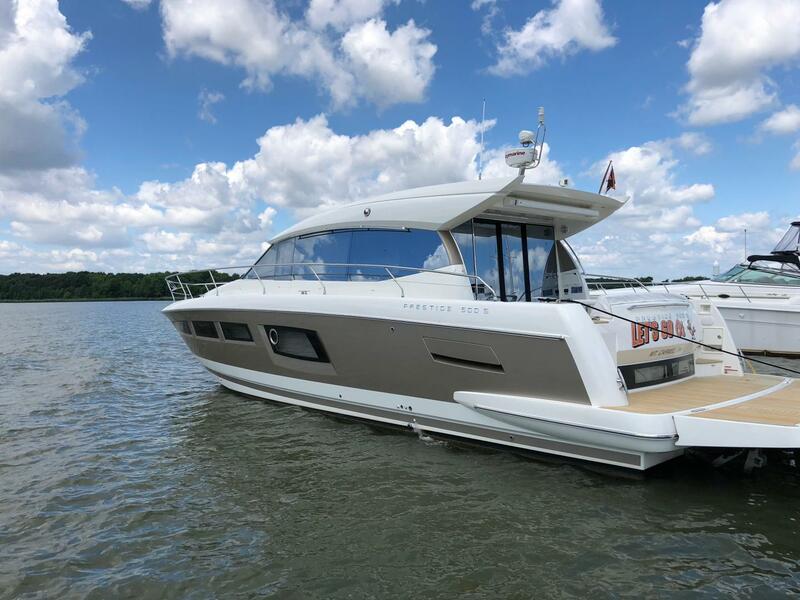 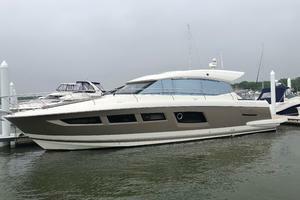 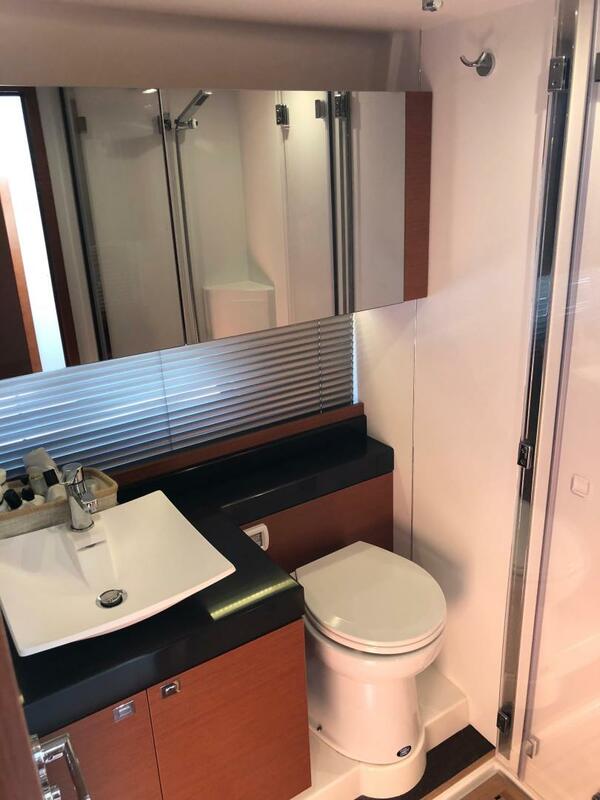 The Prestige 500S has an excellent 3 cabin layout with an innovative full beam master cabin mid-ships with a private entrance. 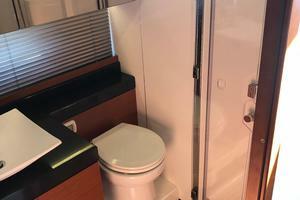 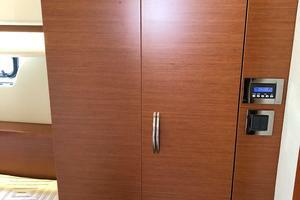 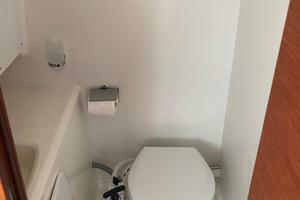 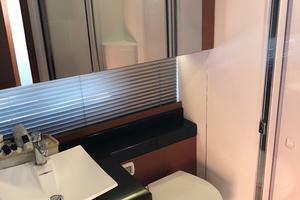 The master has it's own ensuite also. 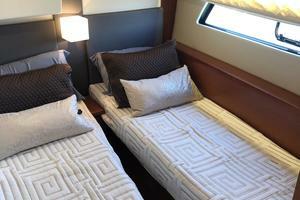 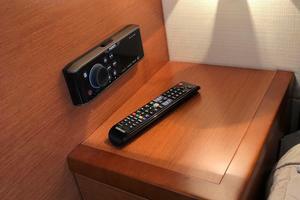 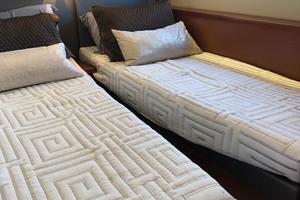 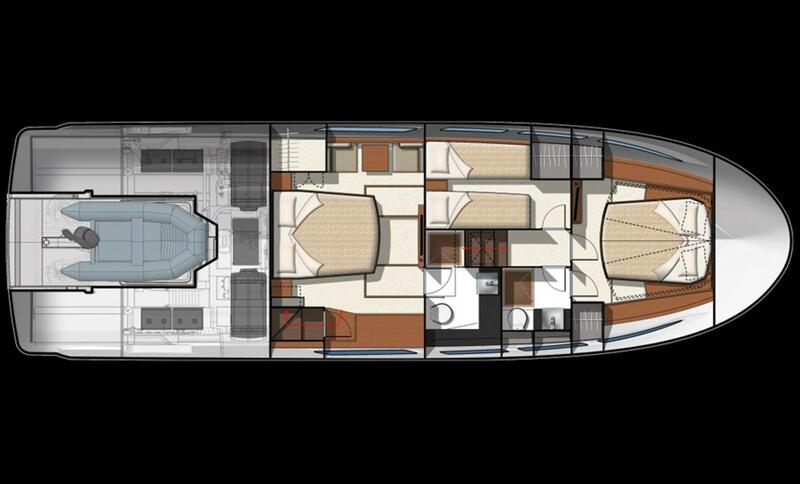 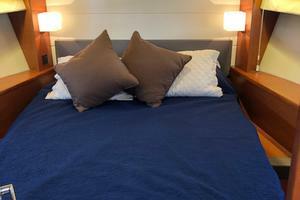 The VIP cabin and third cabin are forward of the salon with a shared head. 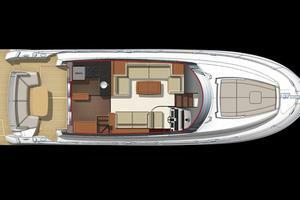 The salon incorporates the helm, seating areas and the galley all in one fluid space which gives a great feeling of space and light. 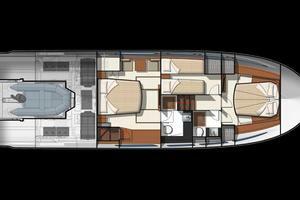 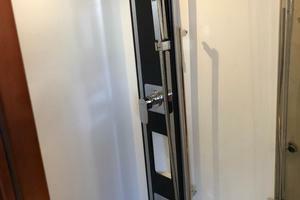 This is further extended through the triple sliding glass doors aft that lead to the cockpit with further seating. 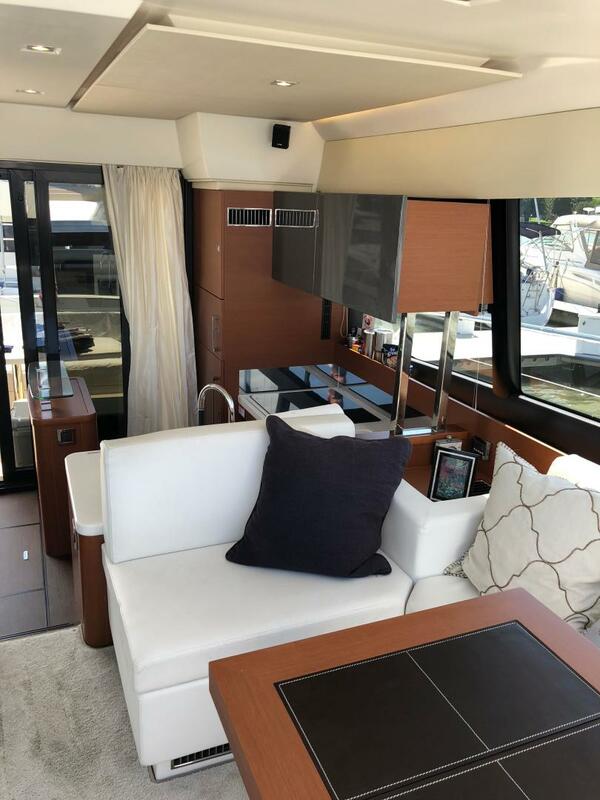 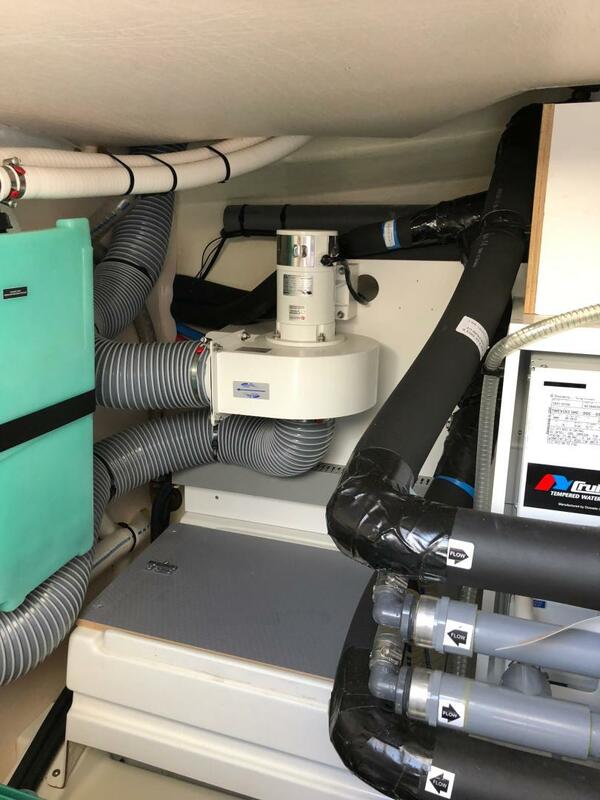 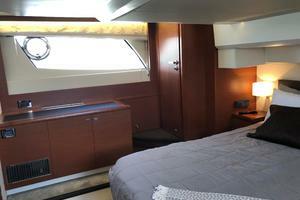 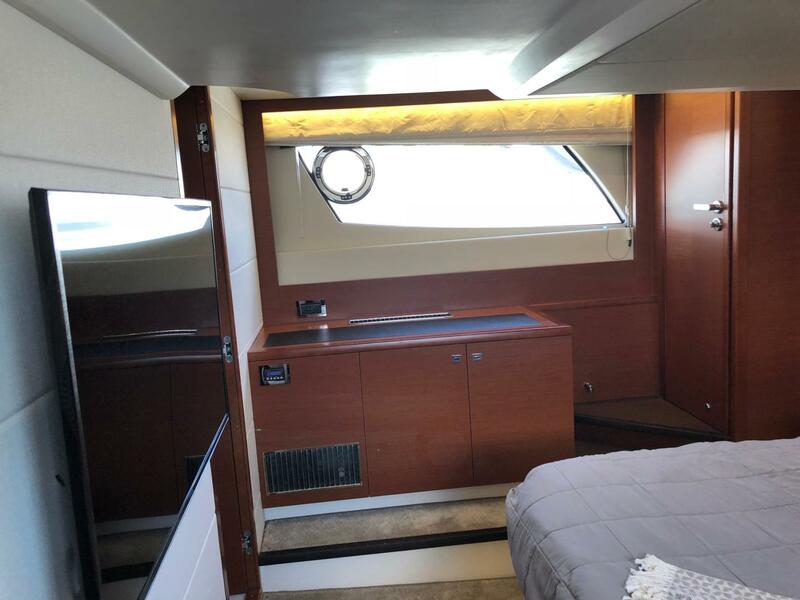 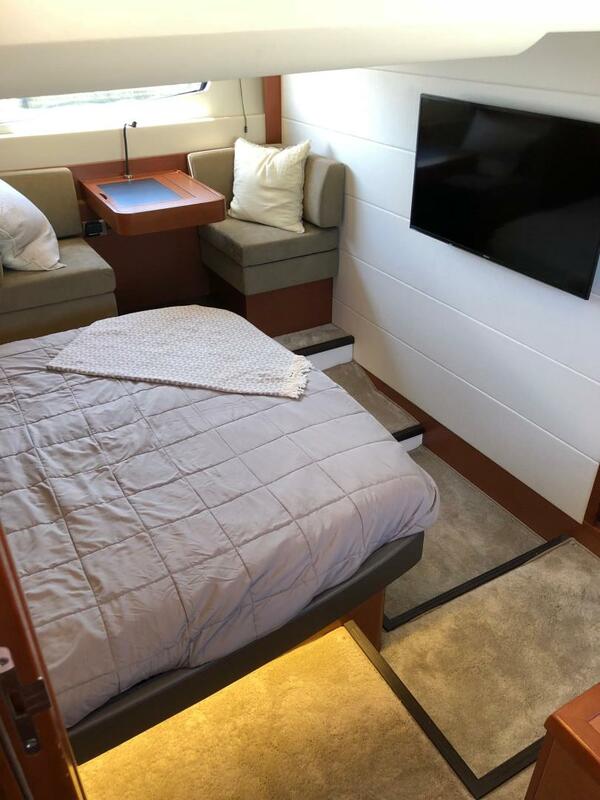 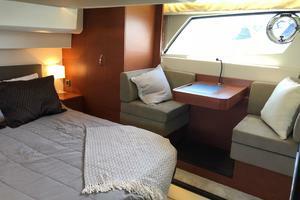 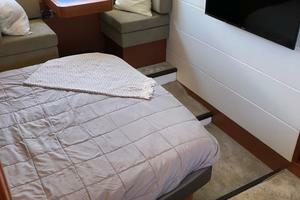 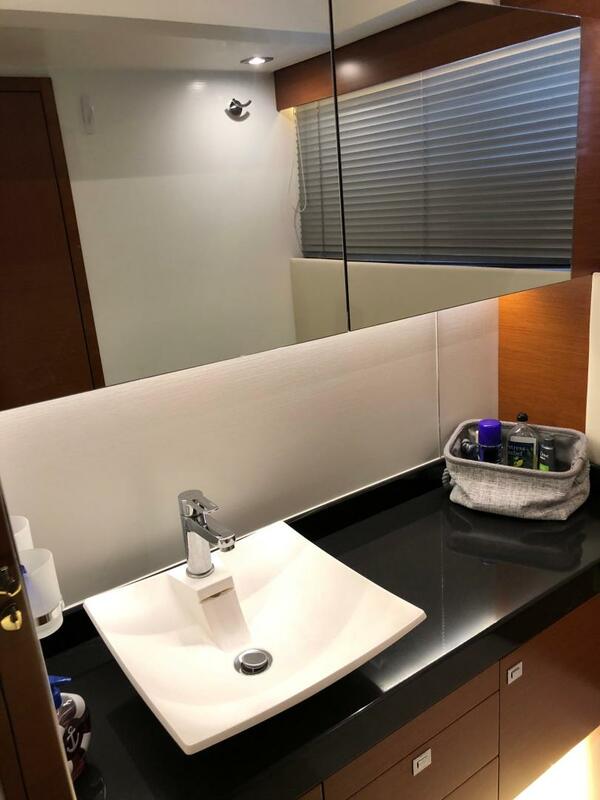 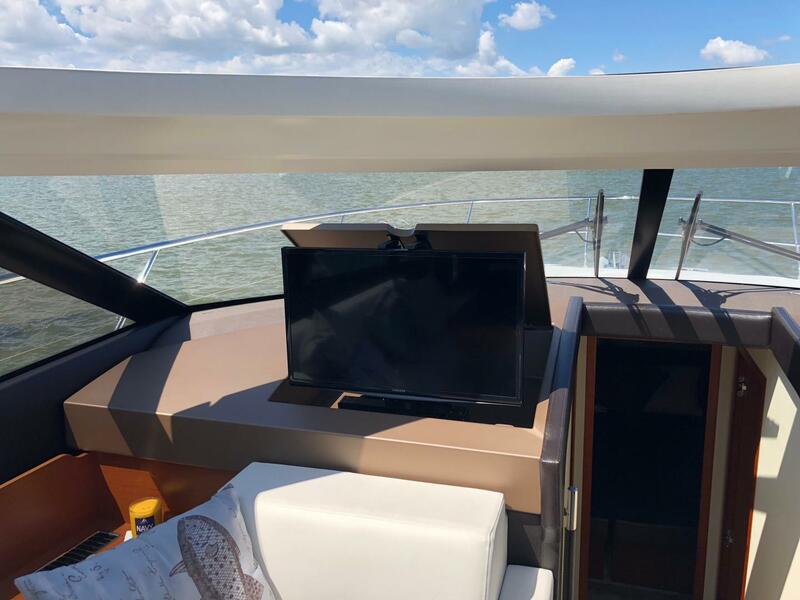 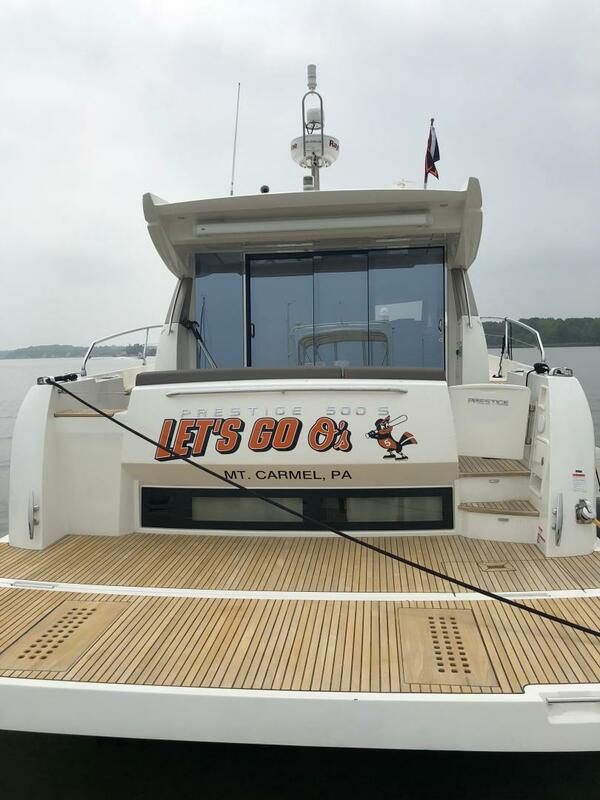 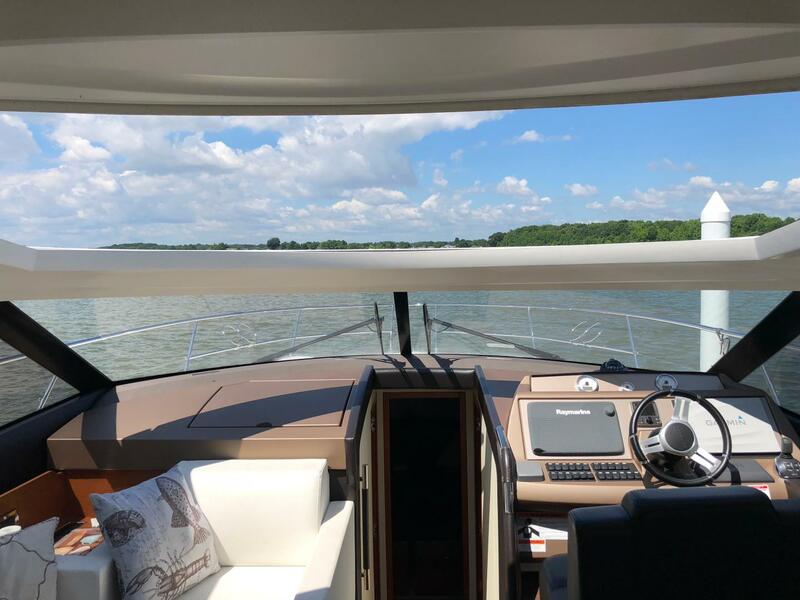 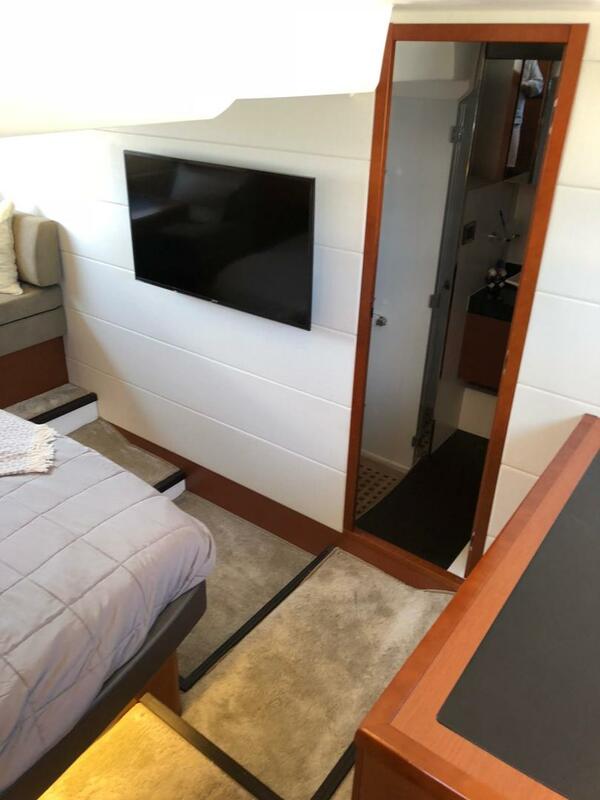 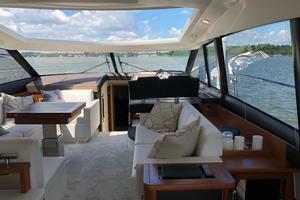 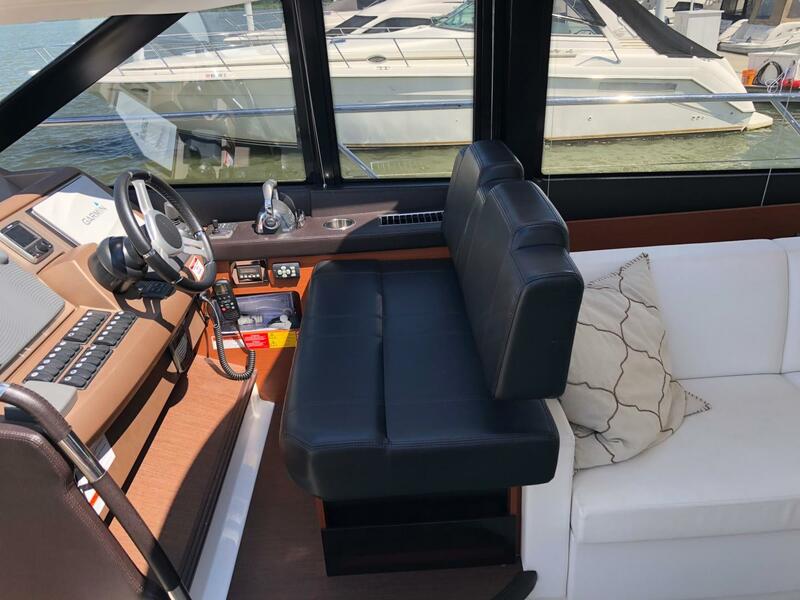 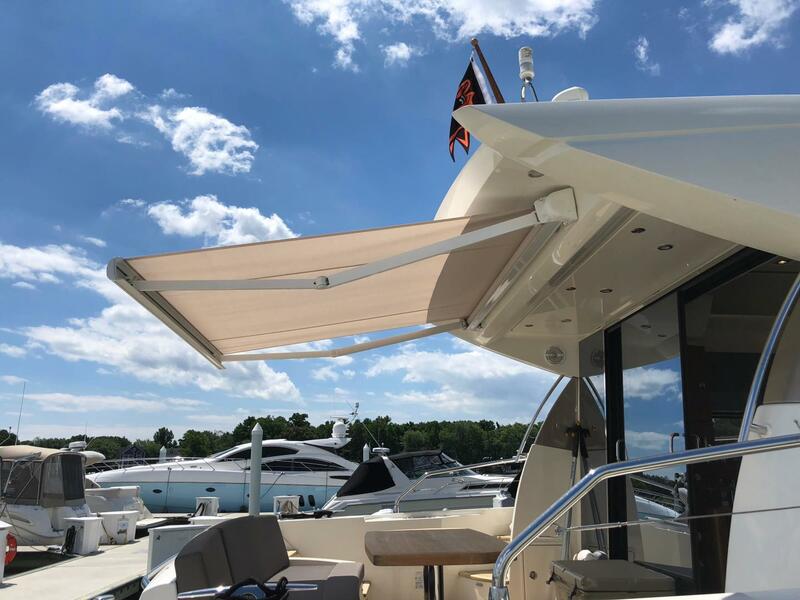 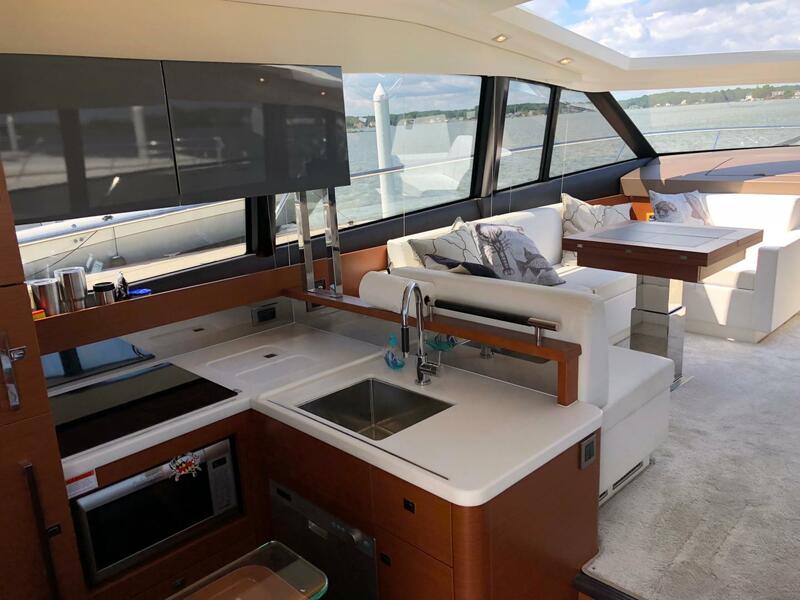 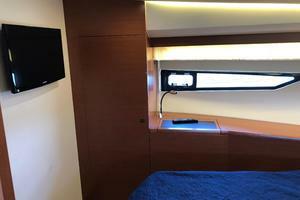 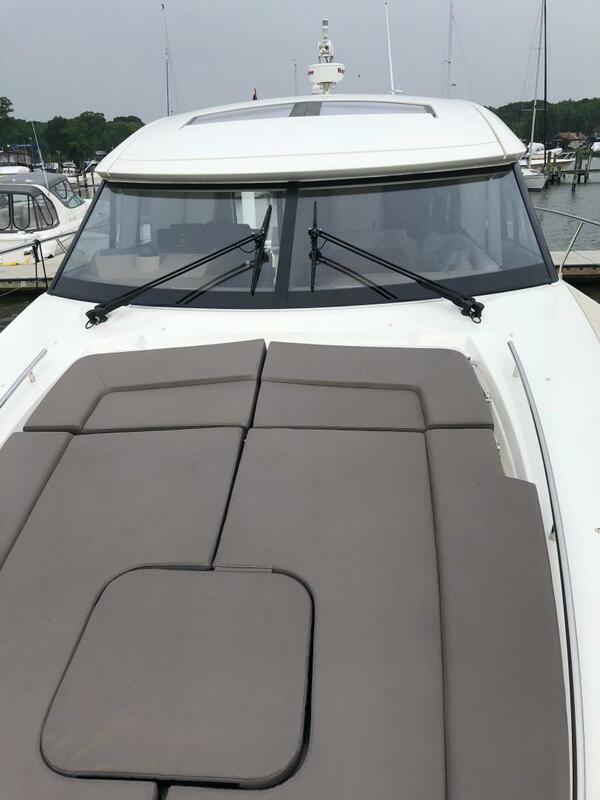 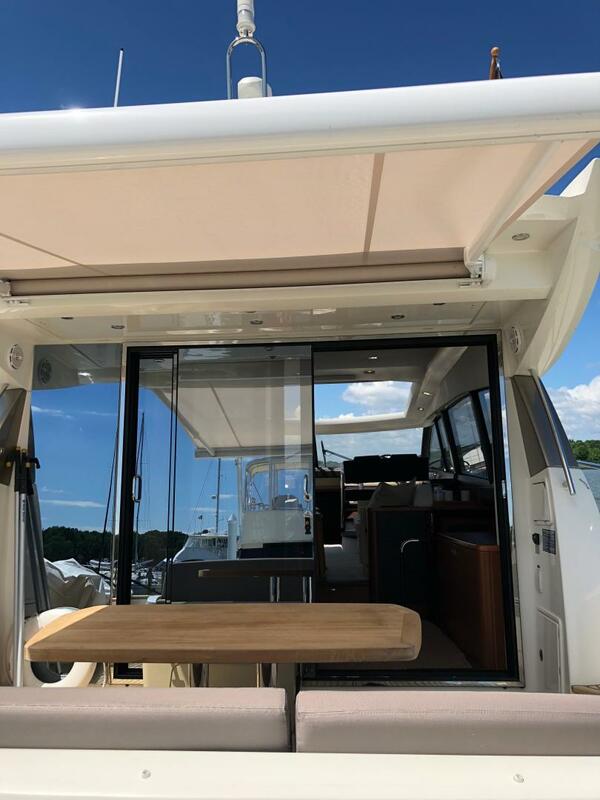 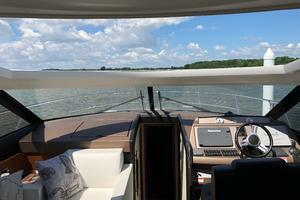 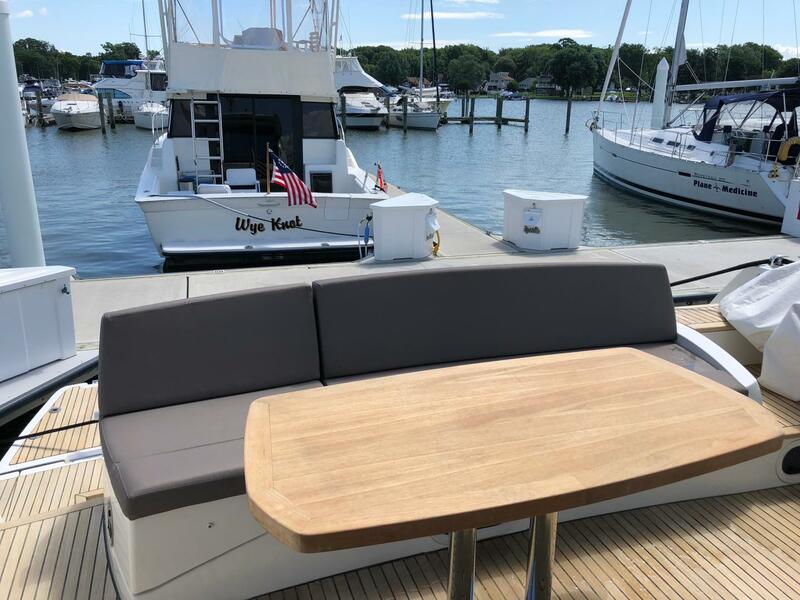 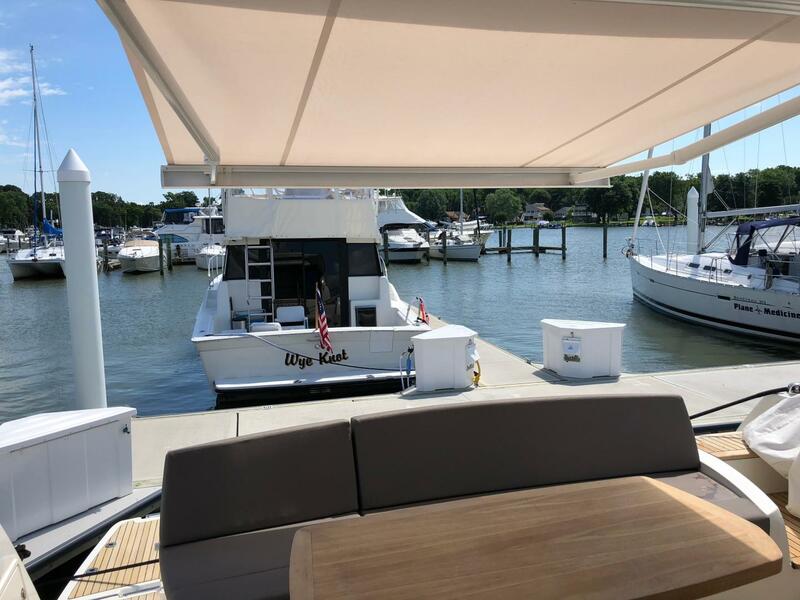 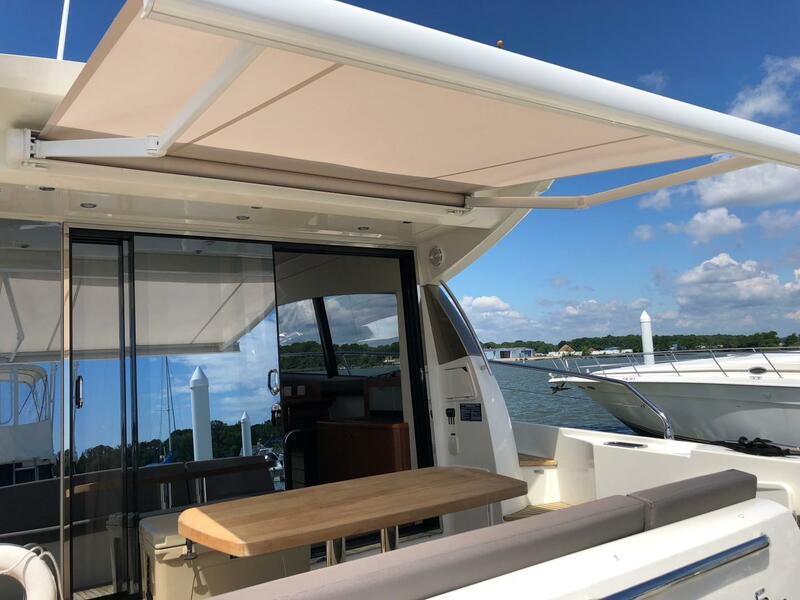 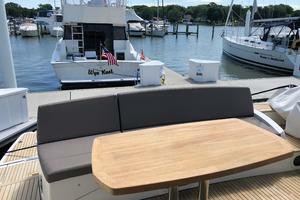 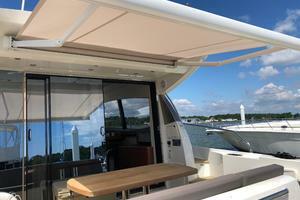 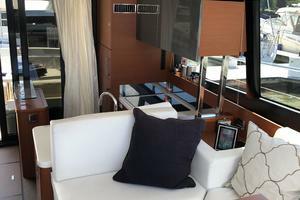 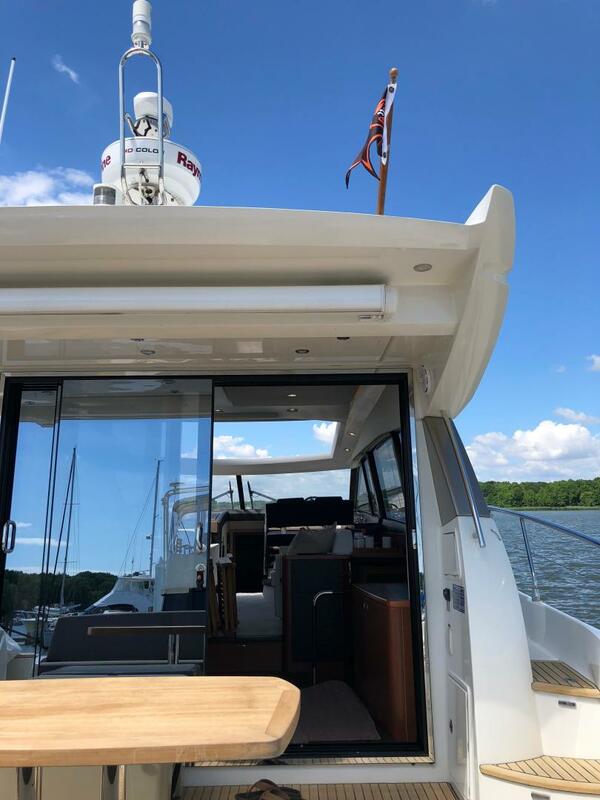 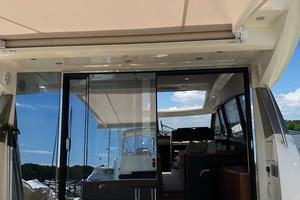 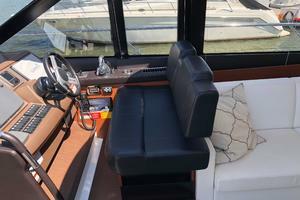 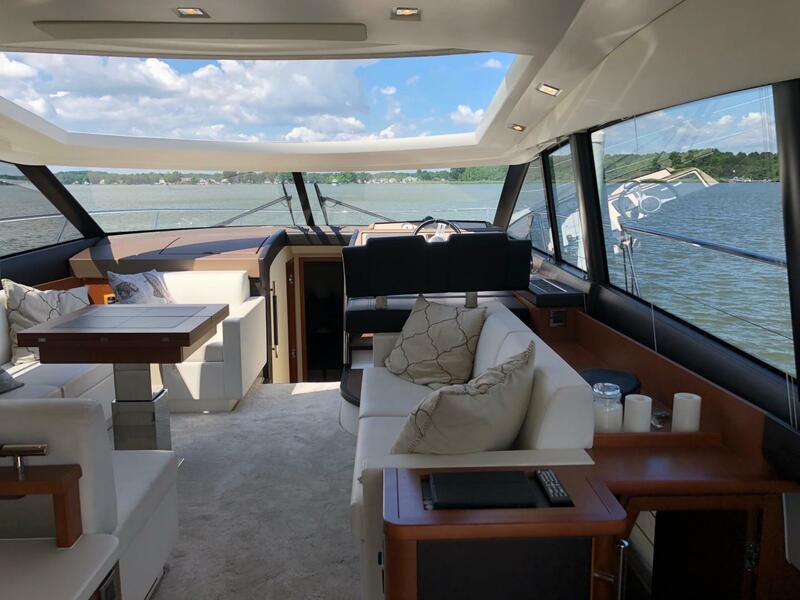 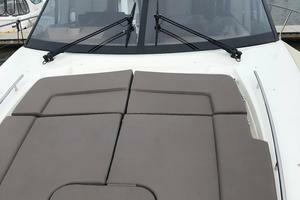 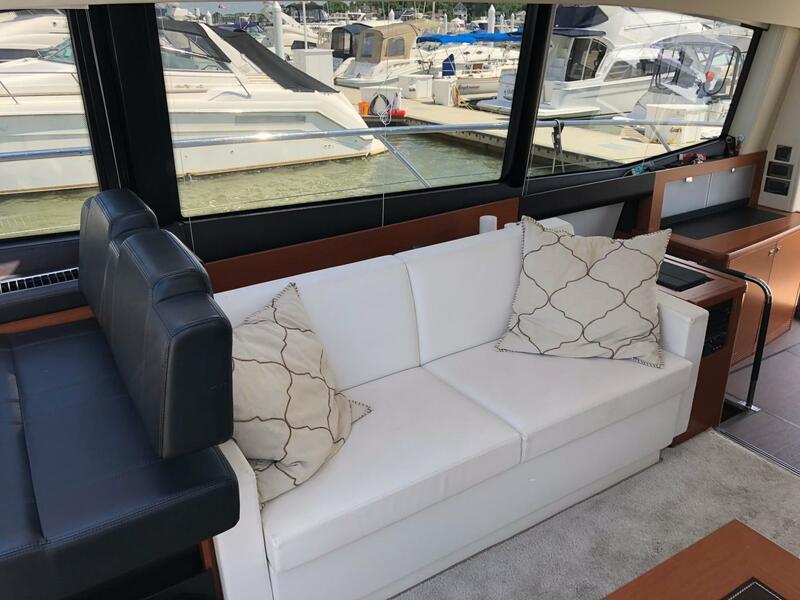 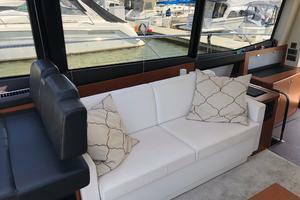 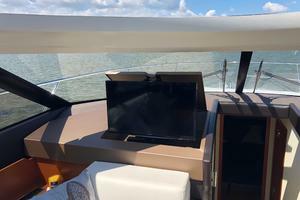 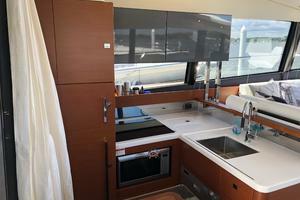 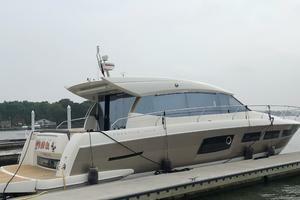 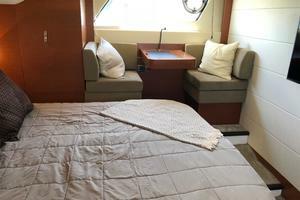 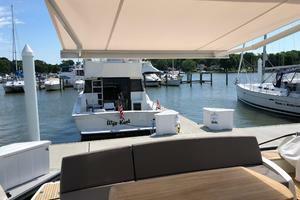 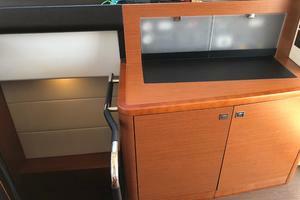 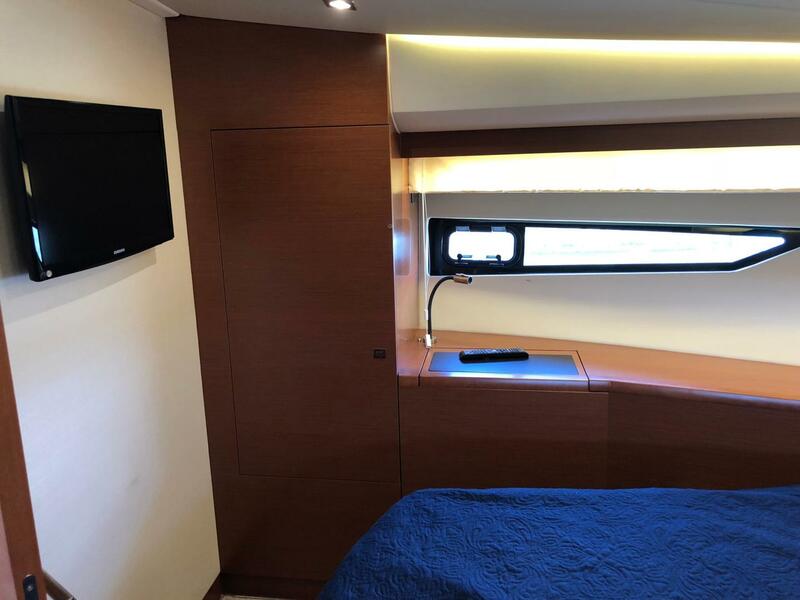 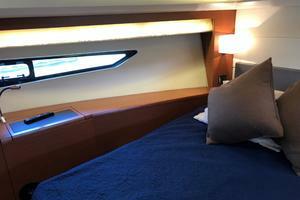 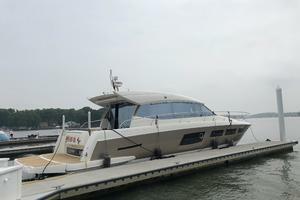 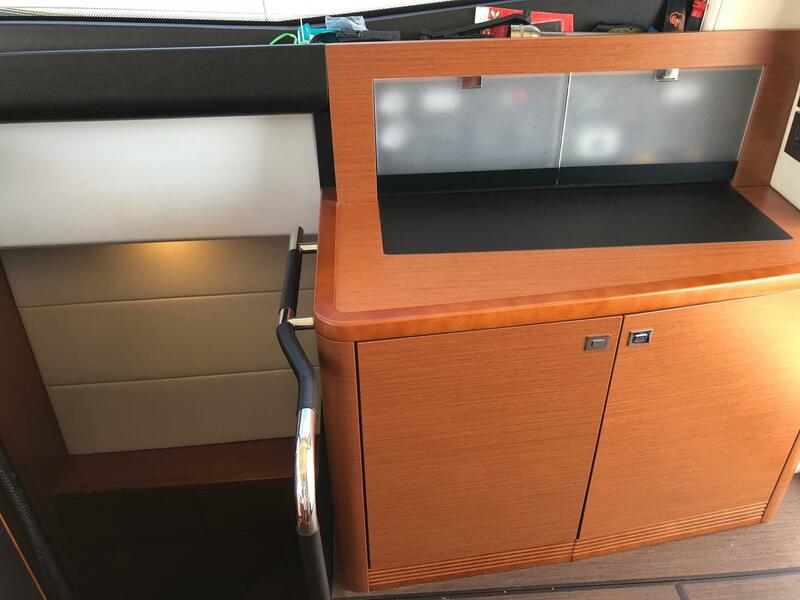 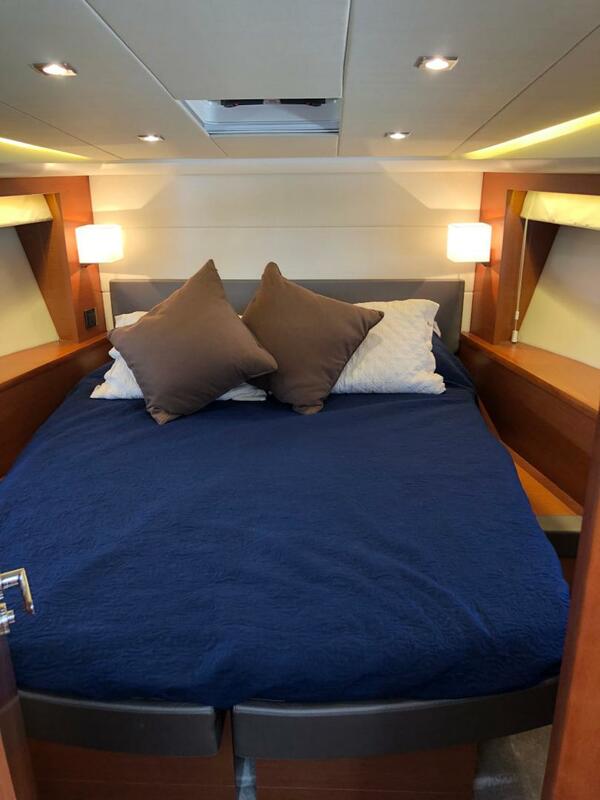 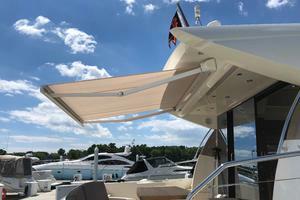 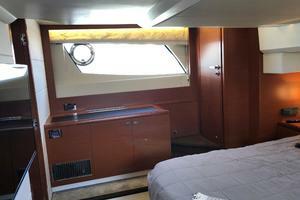 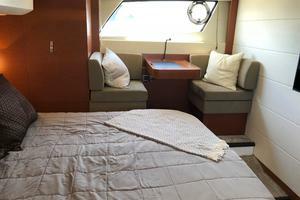 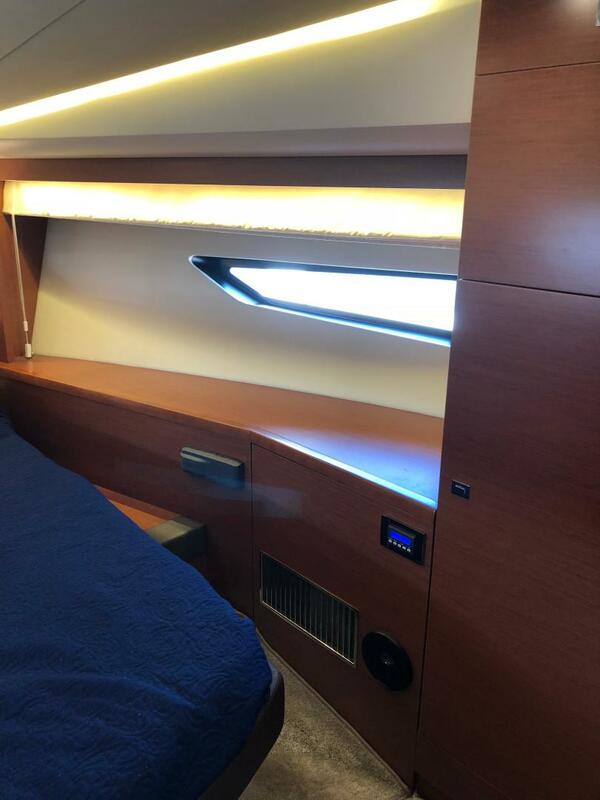 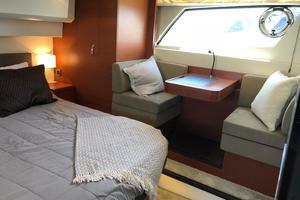 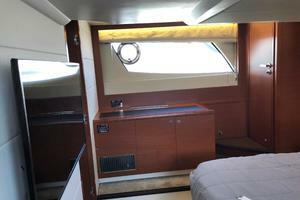 The aft cockpit can be shaded with an electric retractable shade and the salon/ helm can also be opened to the sky with an oversized sun roof, this all creates a totally adaptable space for upmost comfort when entertaining or cruising. 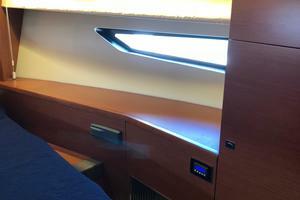 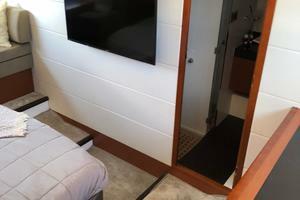 Accessed aft through the cockpit seating is a fourth 'Skippers' cabin with head, vanity and AC. 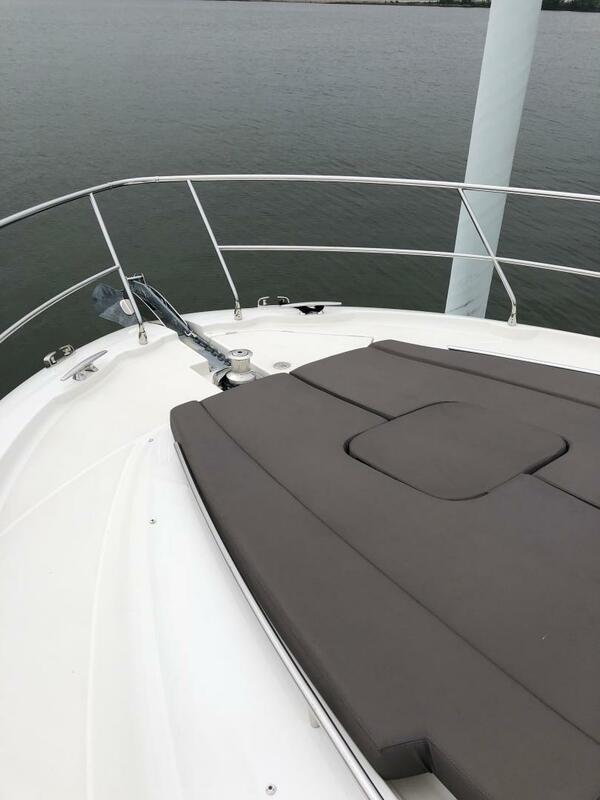 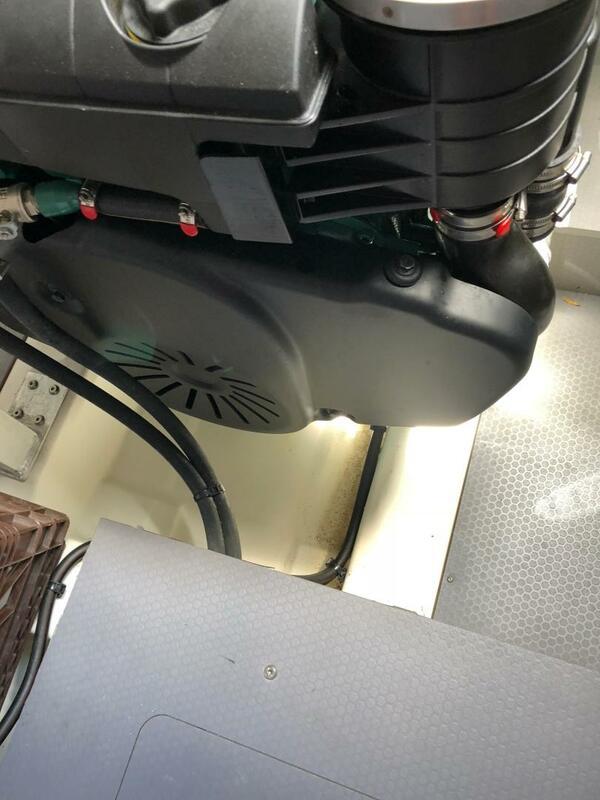 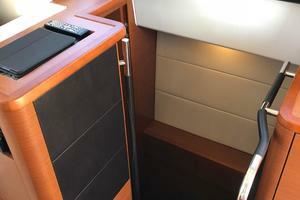 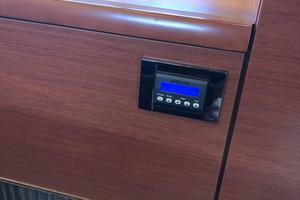 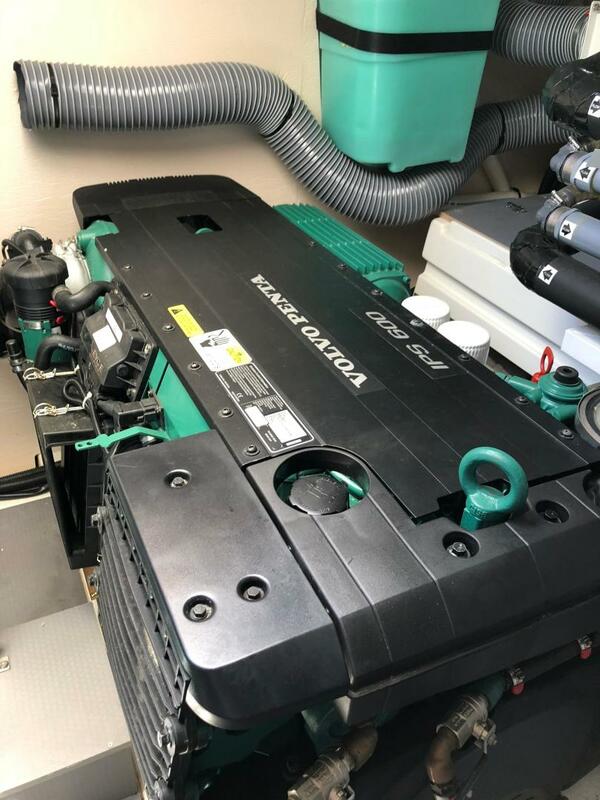 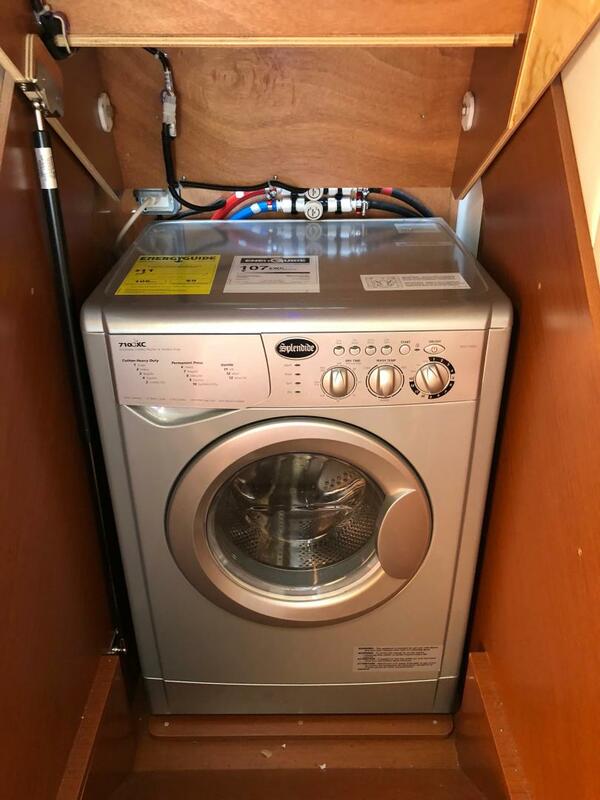 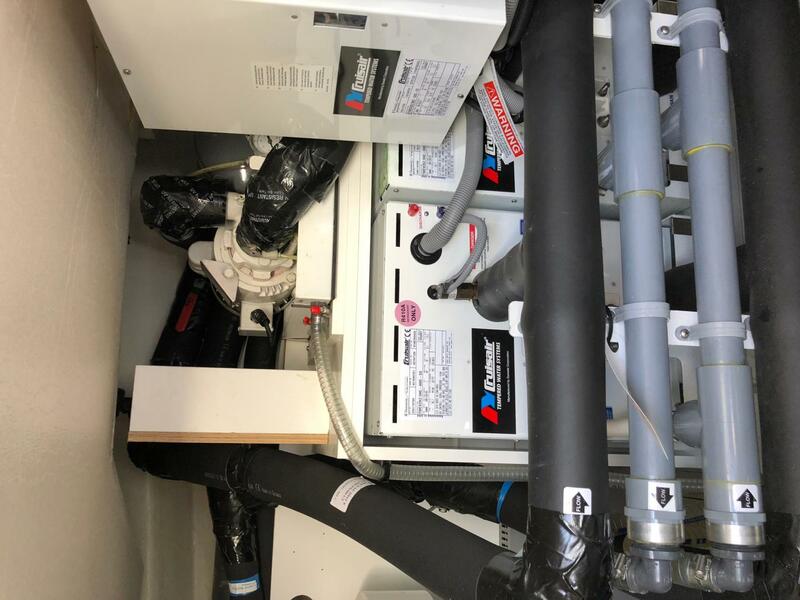 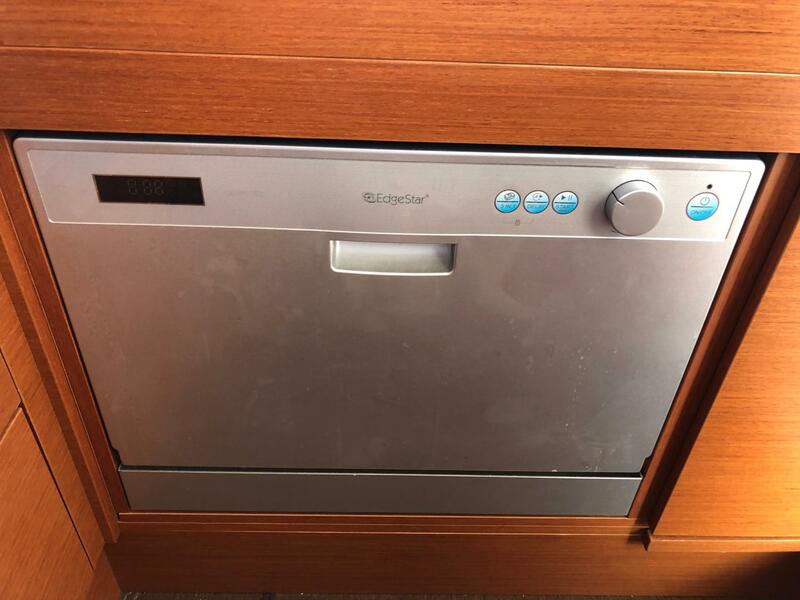 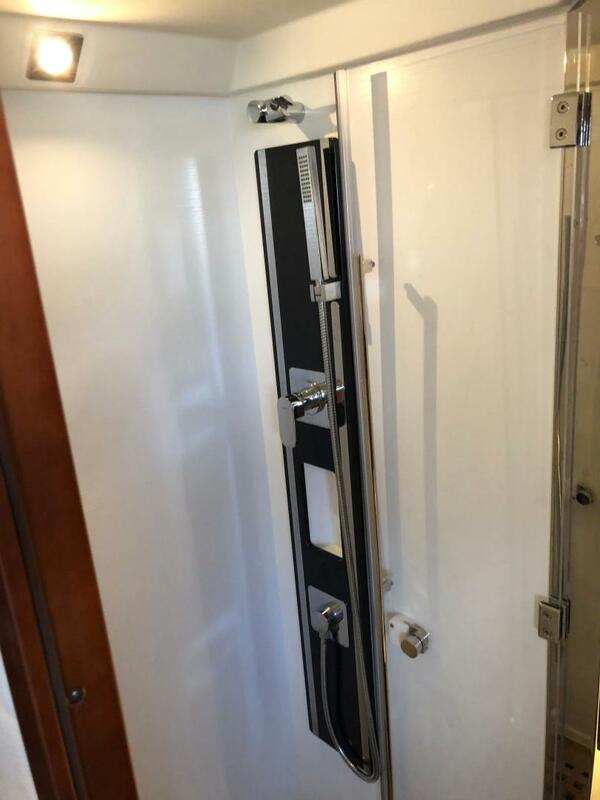 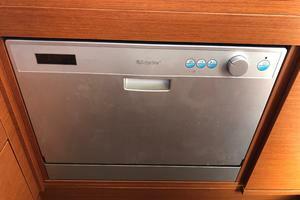 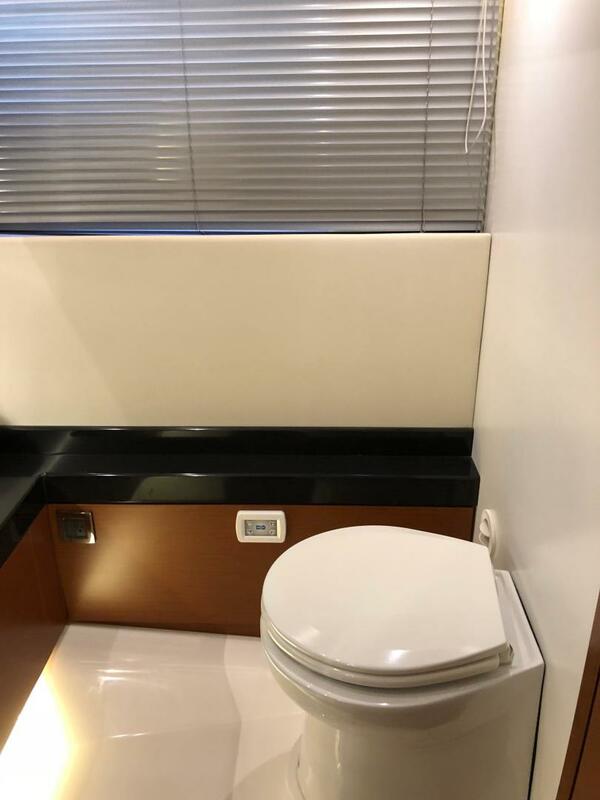 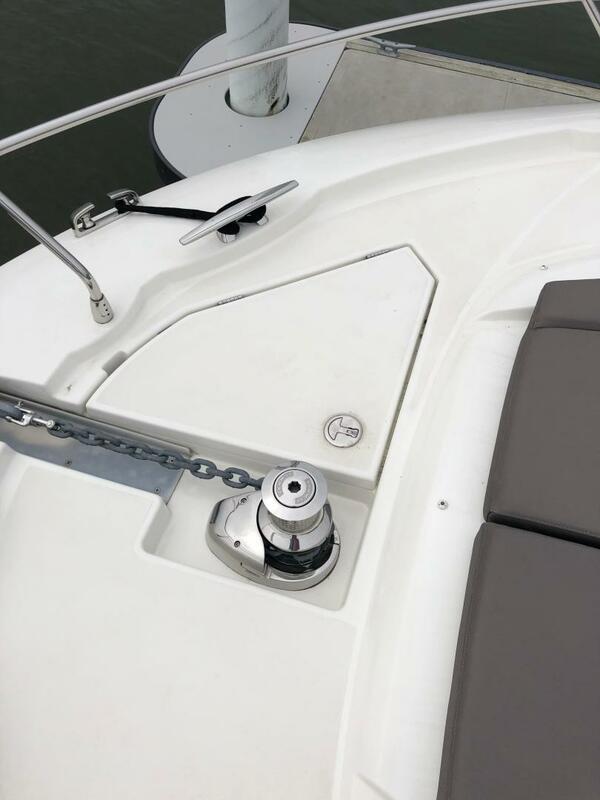 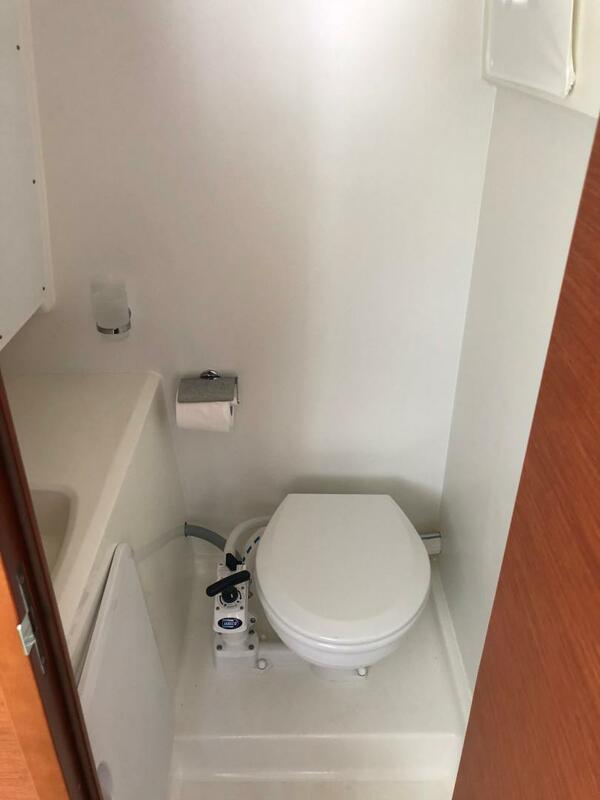 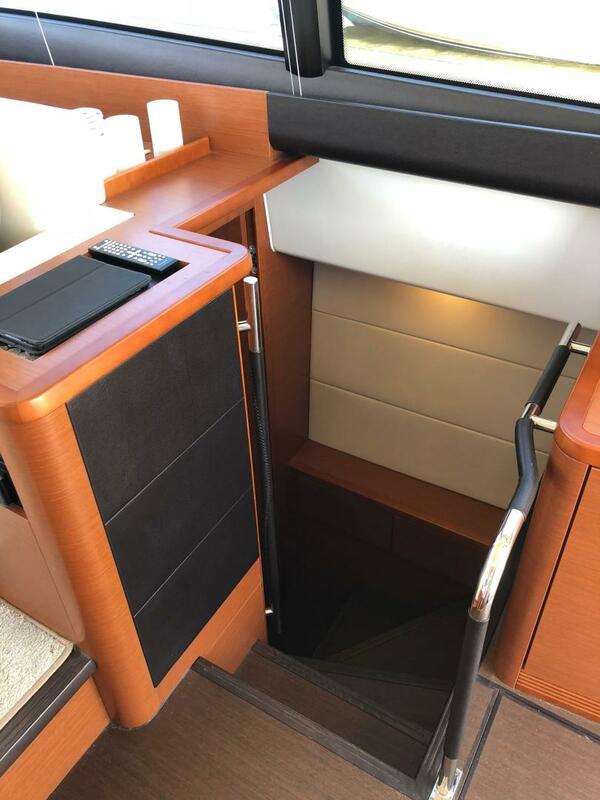 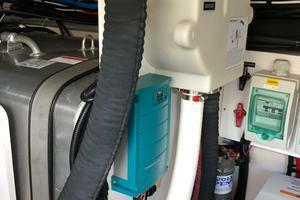 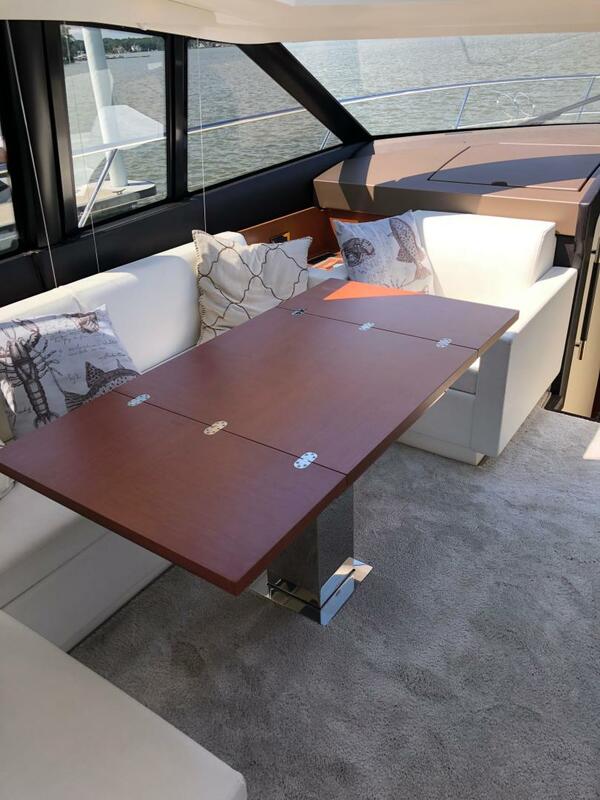 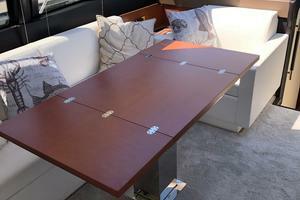 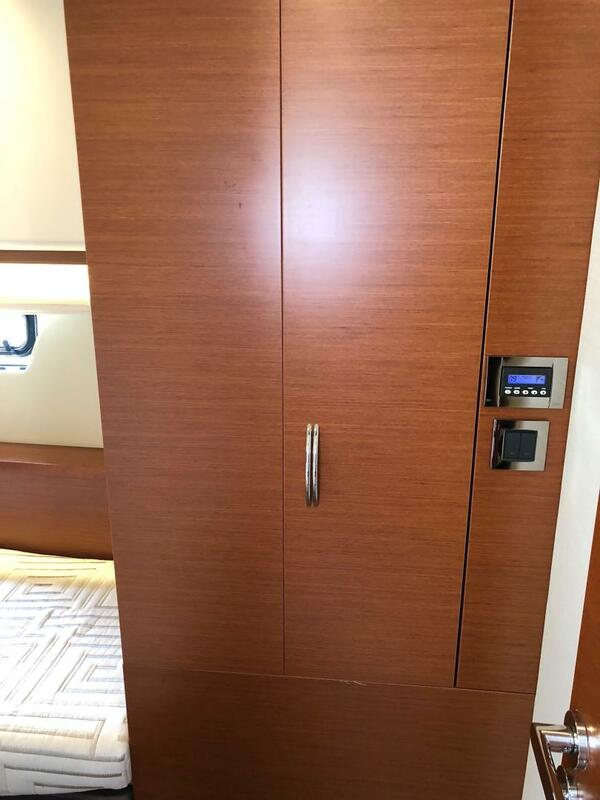 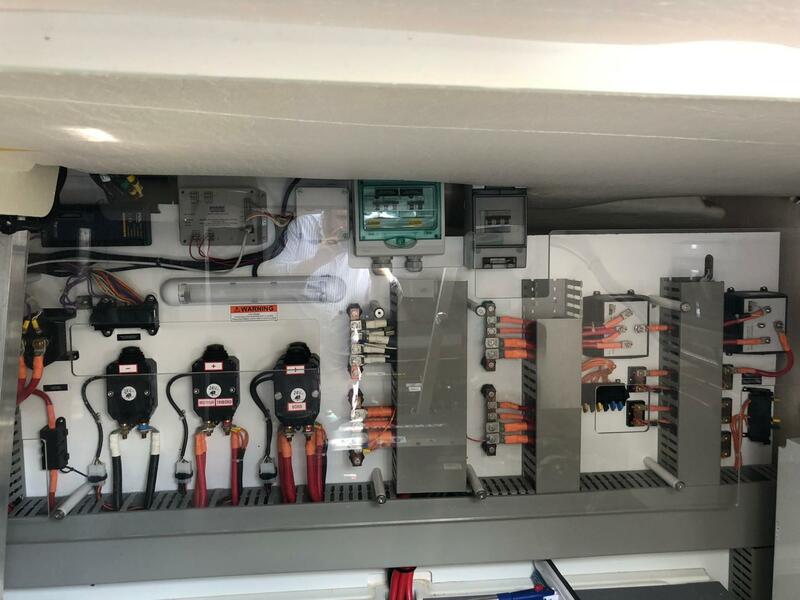 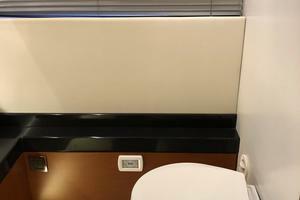 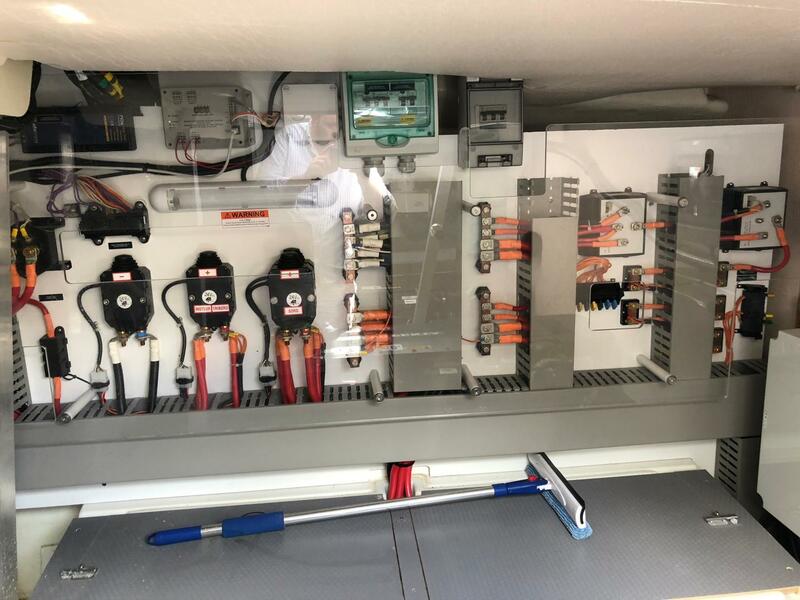 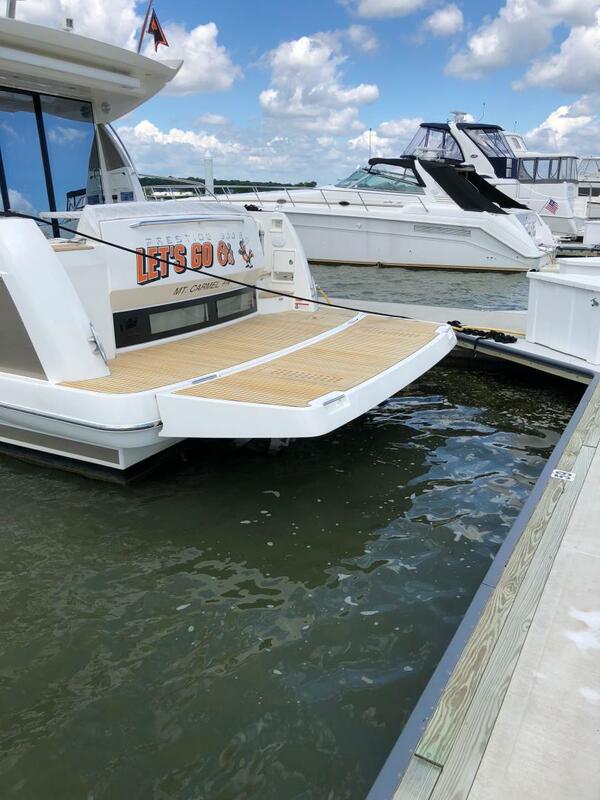 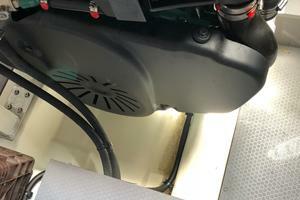 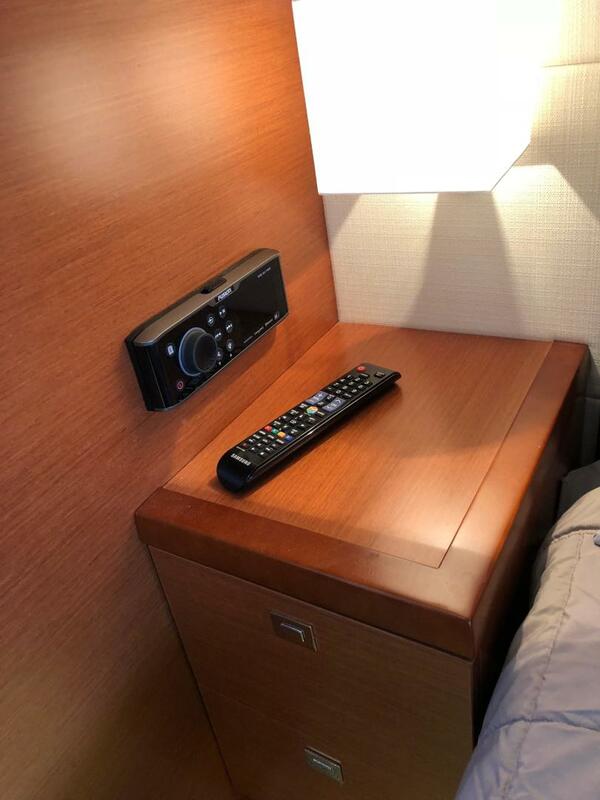 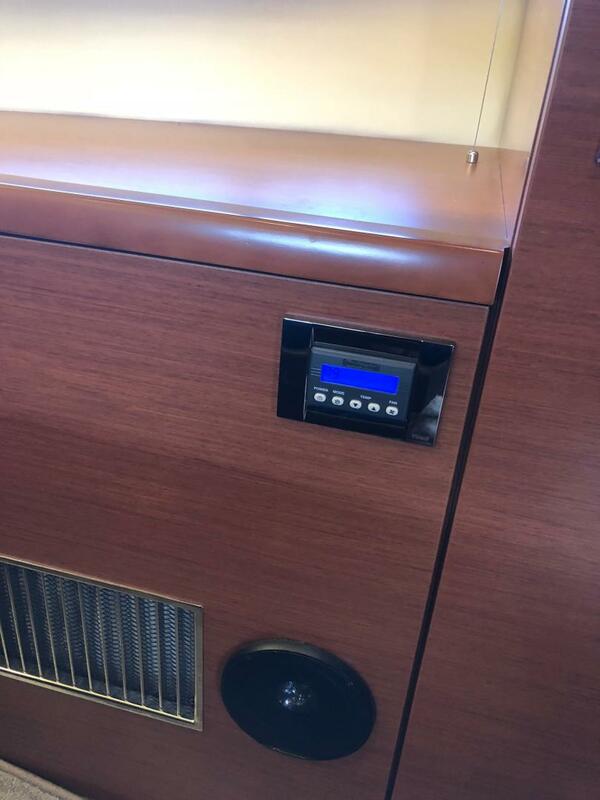 This is also a helpful space for extra storage when not in use for some of the larger unwieldy items that clutter the deck in normal cruising. 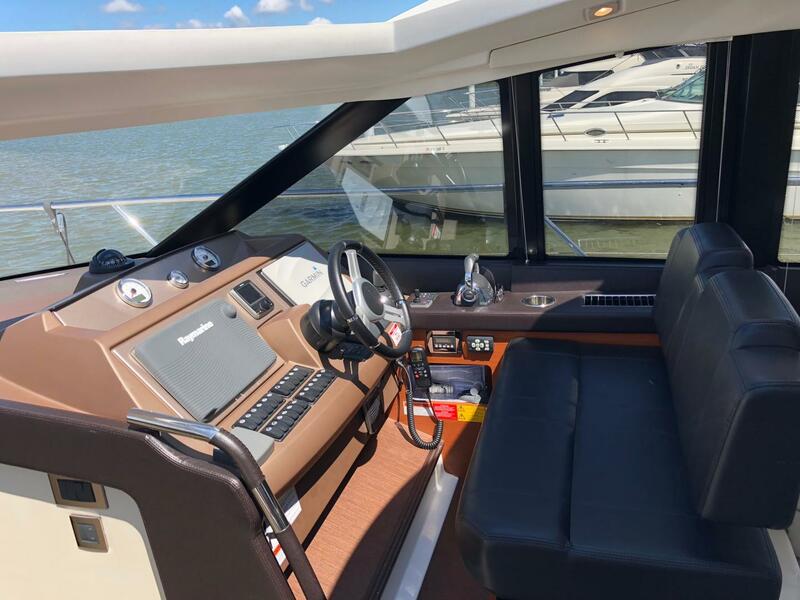 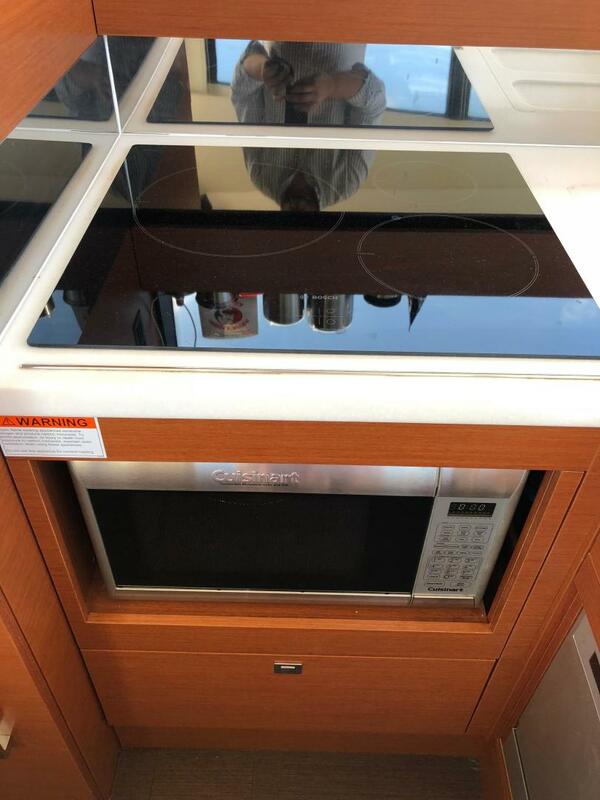 This 2016 Prestige 500S is fitted with a full suite of electronics for easy navigation. 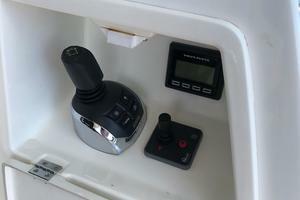 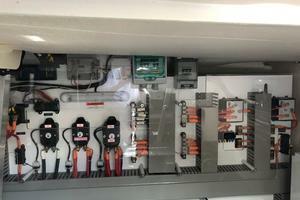 Second Joystick and bow thruster control in cockpit. 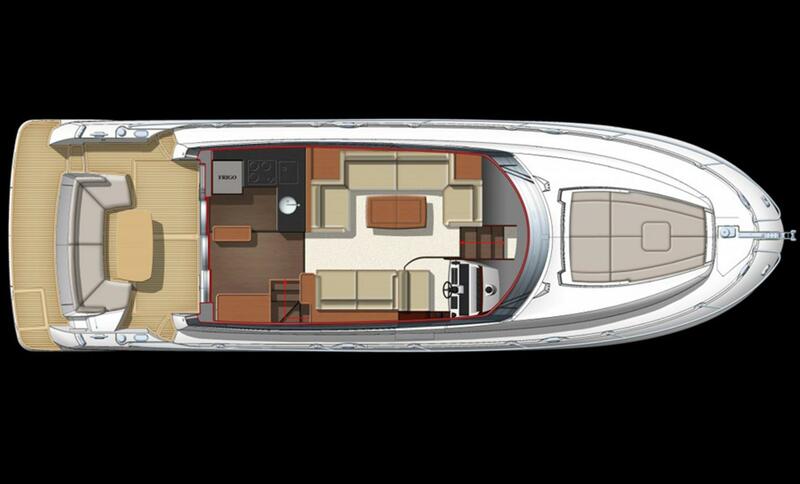 The PRESTIGE 500 S follows the same philosophy and guiding principals of the world of PRESTIGE: seaworthy qualities, a reserved, elegant style, very open liveable spaces, all to create a unique experience. 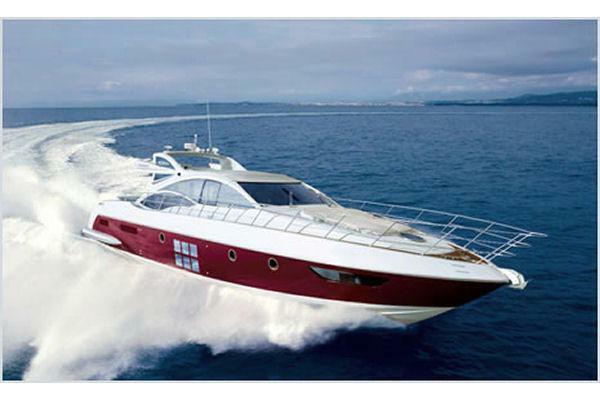 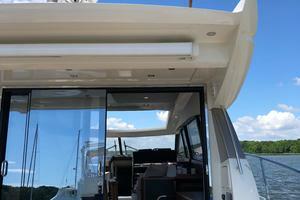 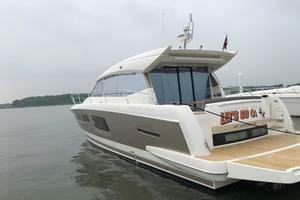 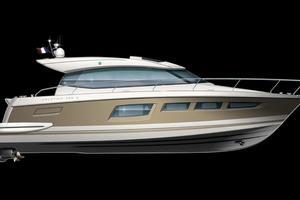 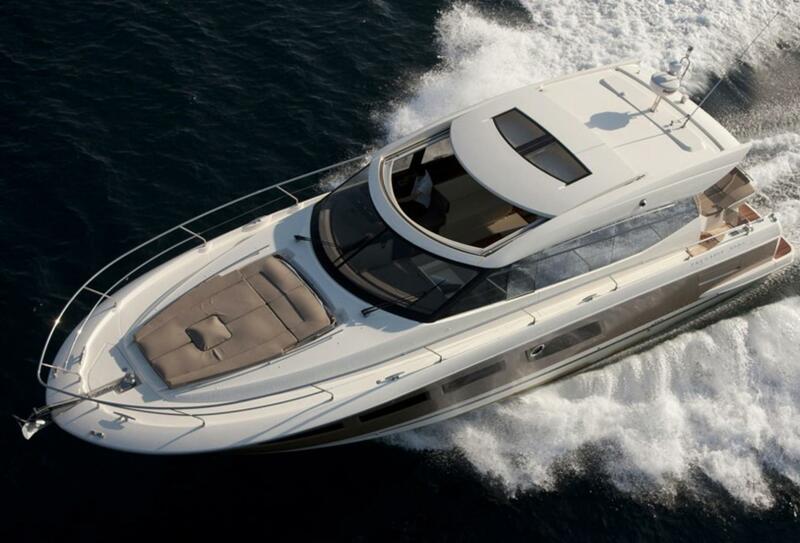 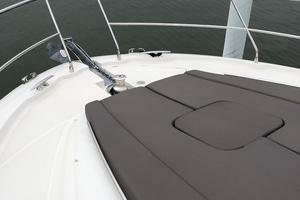 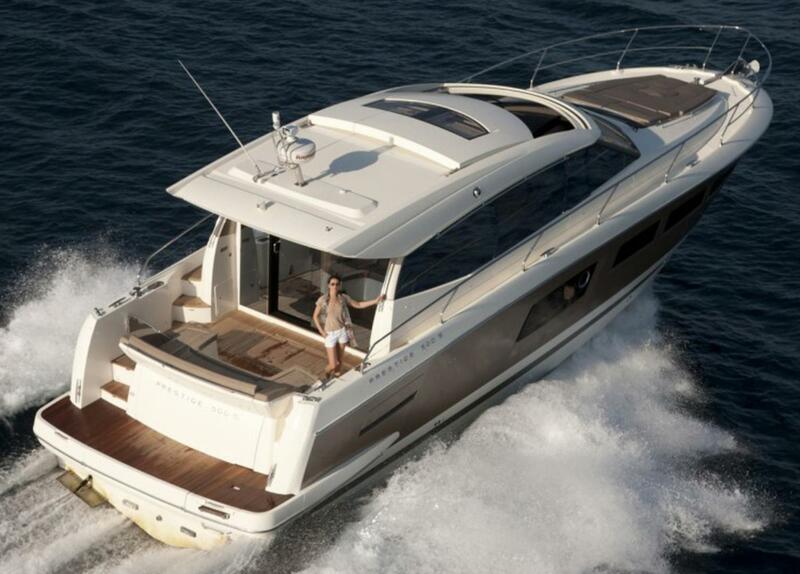 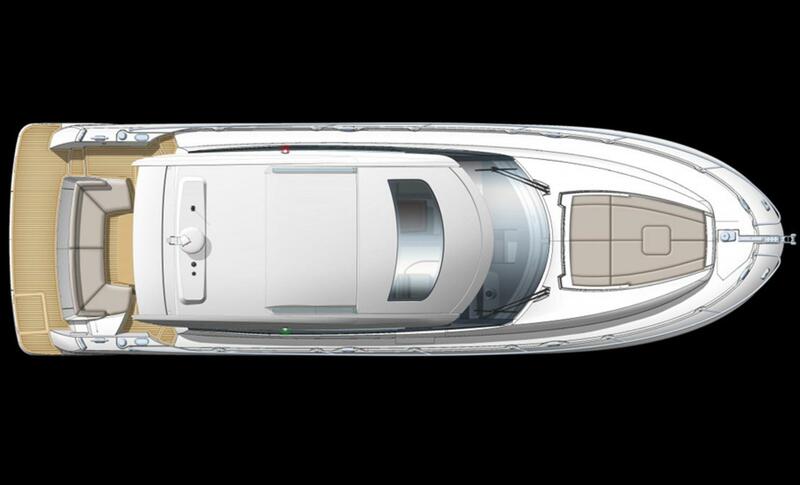 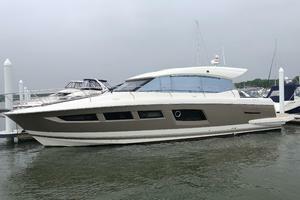 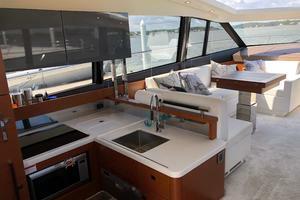 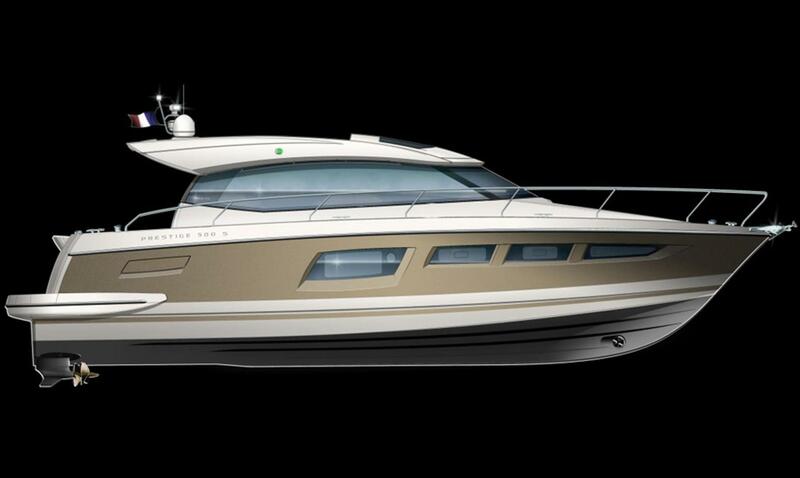 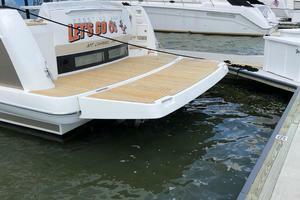 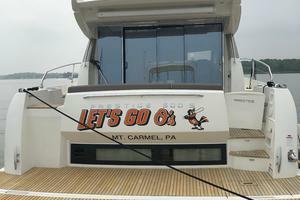 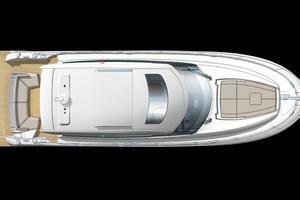 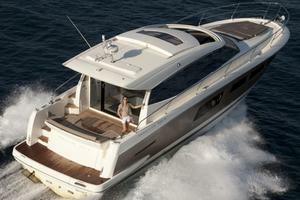 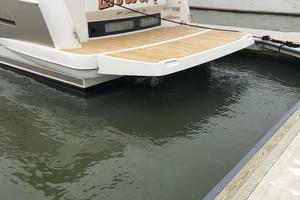 This coupé offers an interesting feature that is all its own with the concept of an “owner’s suite” on a boat of 50’.